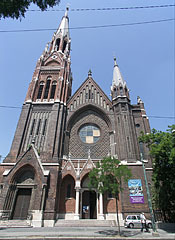 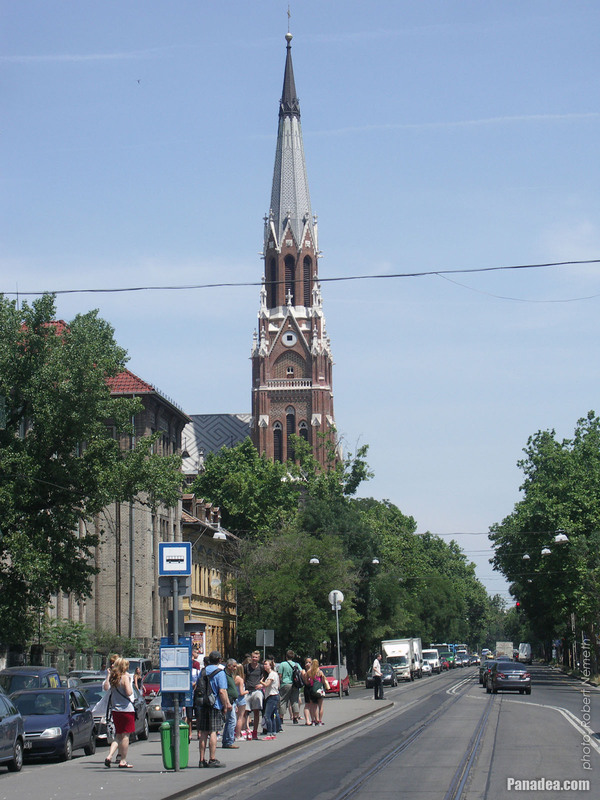 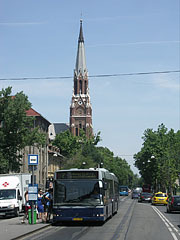 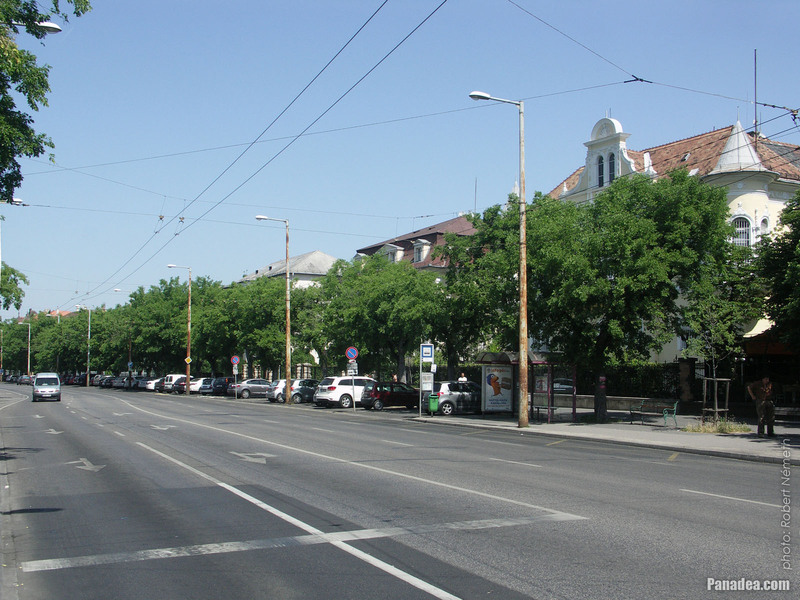 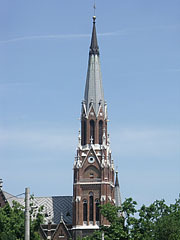 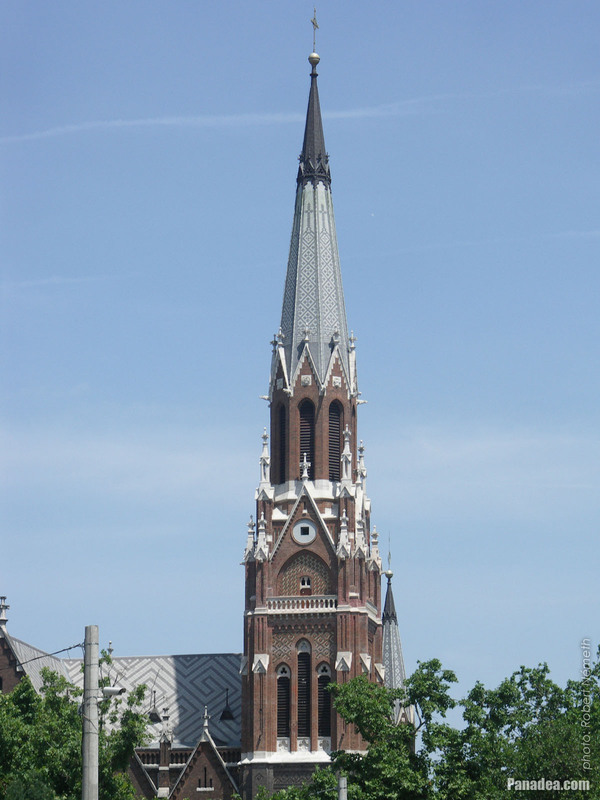 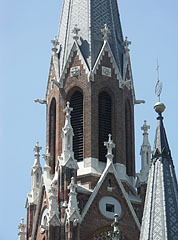 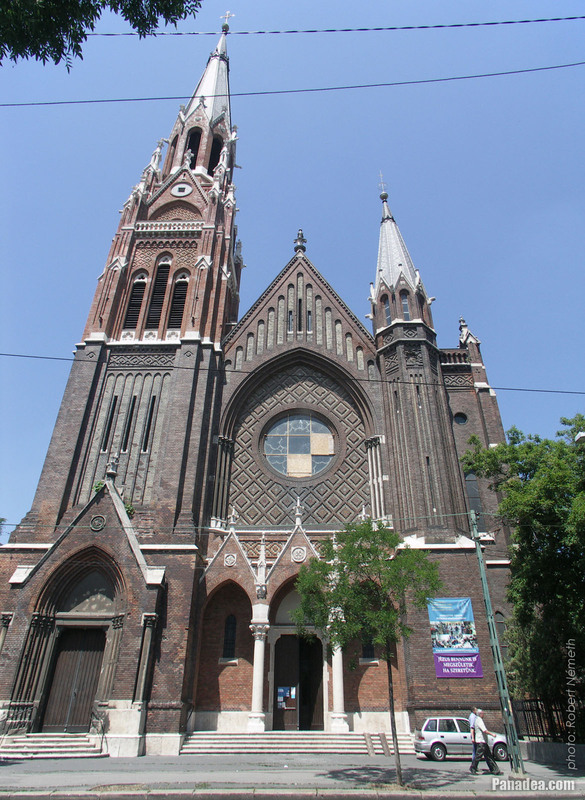 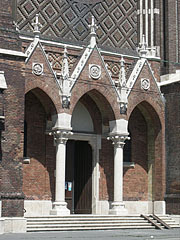 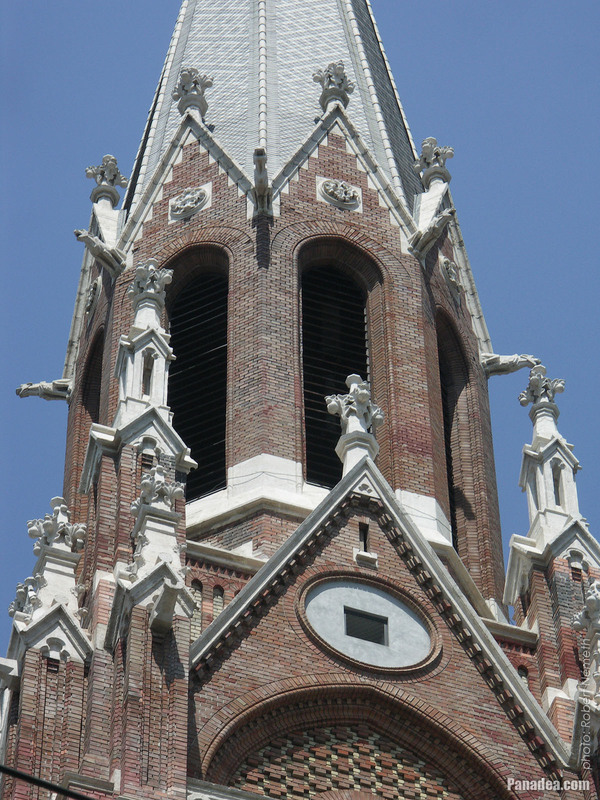 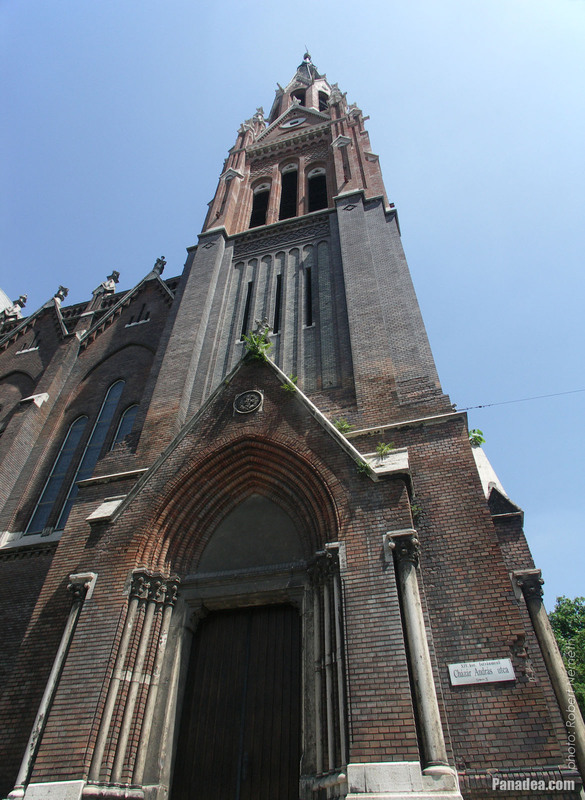 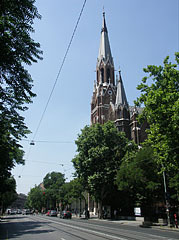 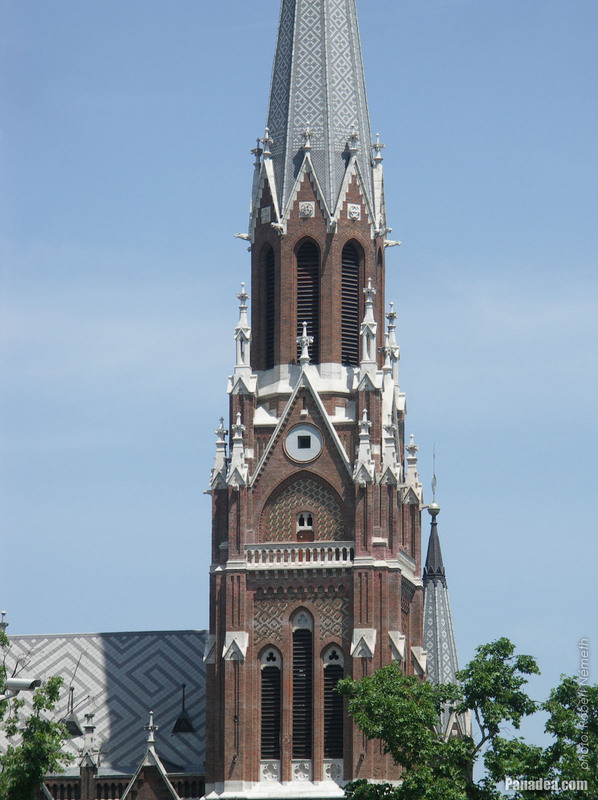 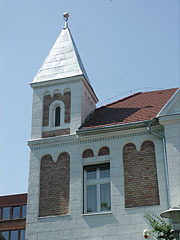 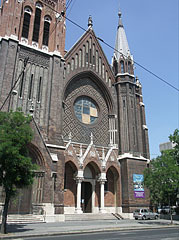 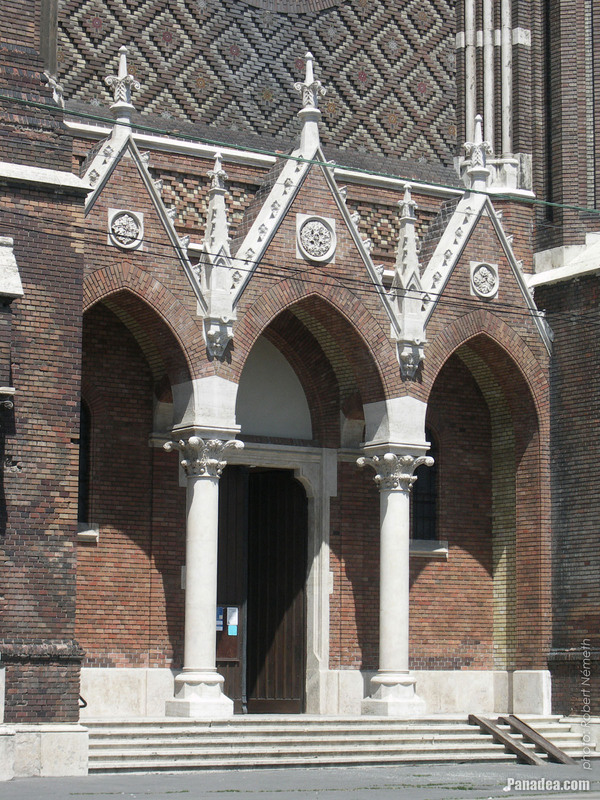 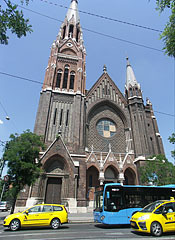 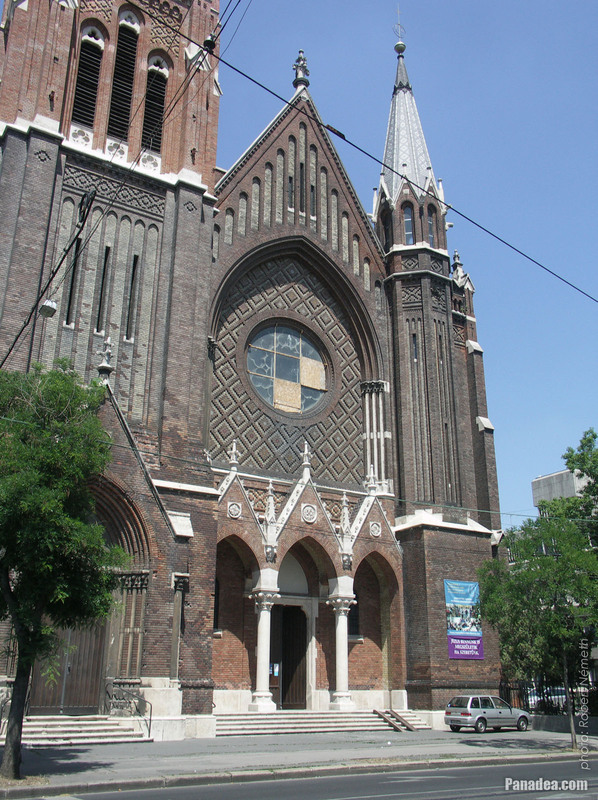 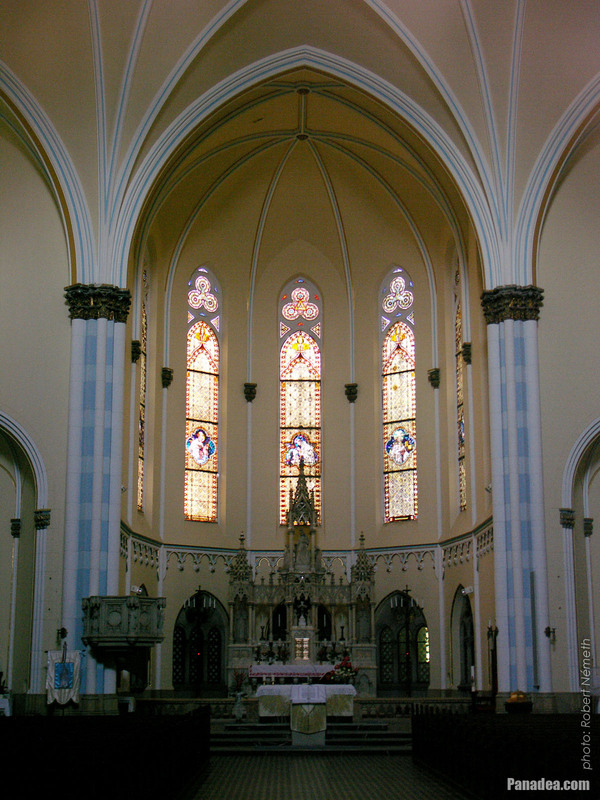 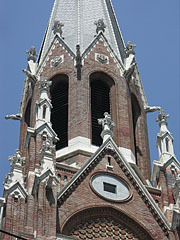 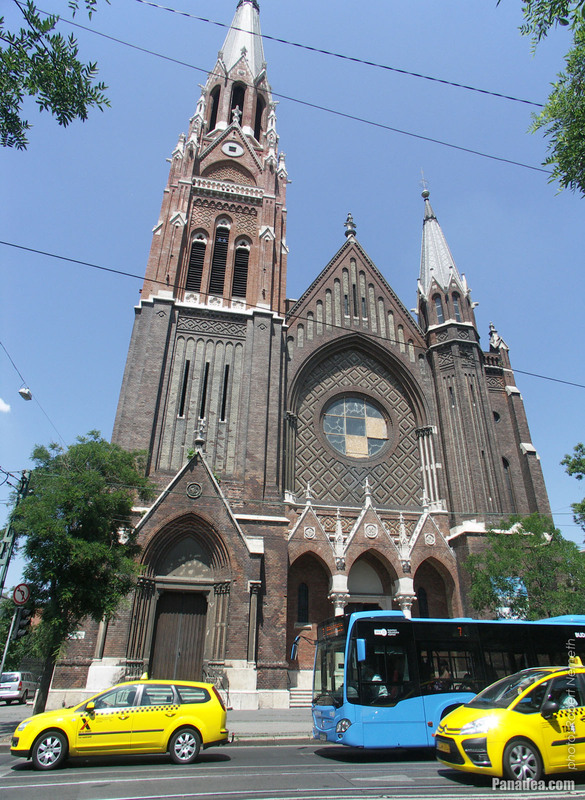 The church was built between 1912-1915, architect: Antal Hofhauser, contractor: Ferenc Paulheim. 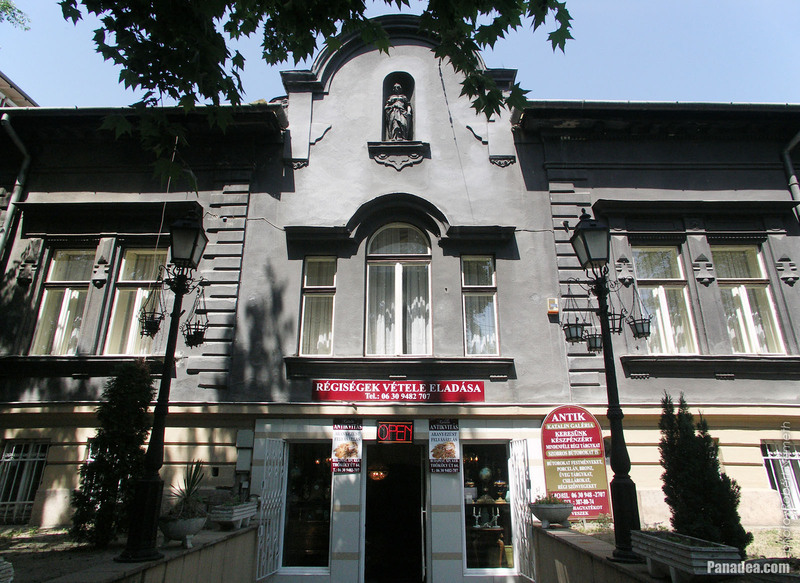 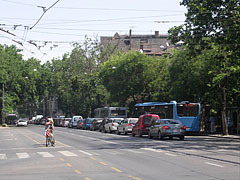 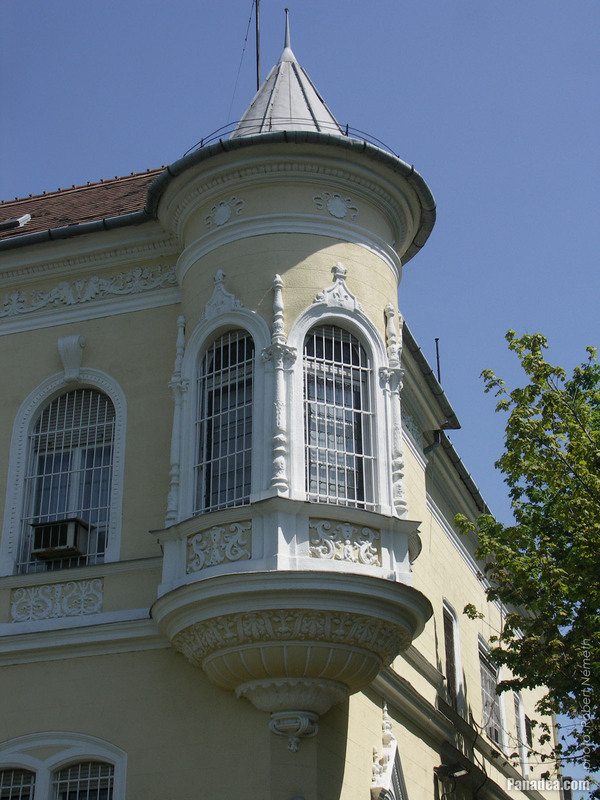 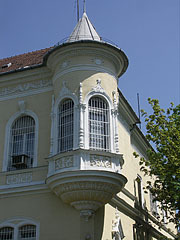 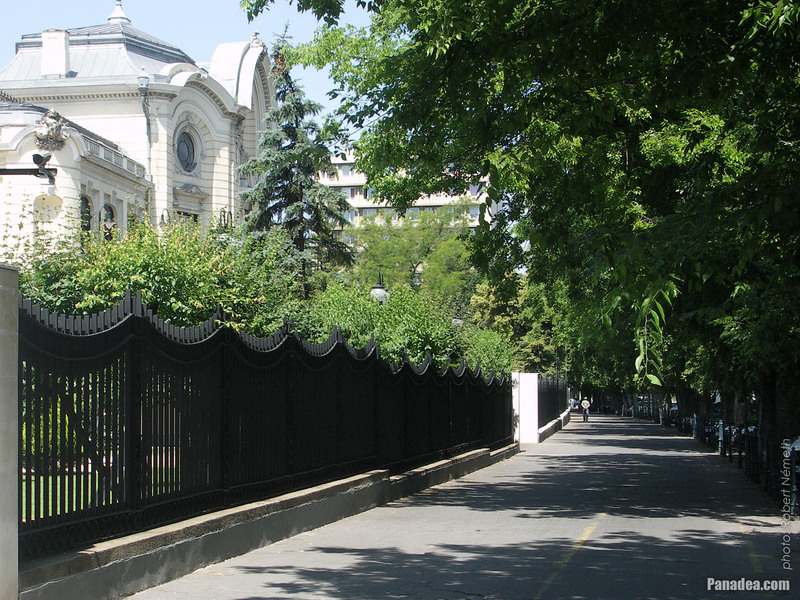 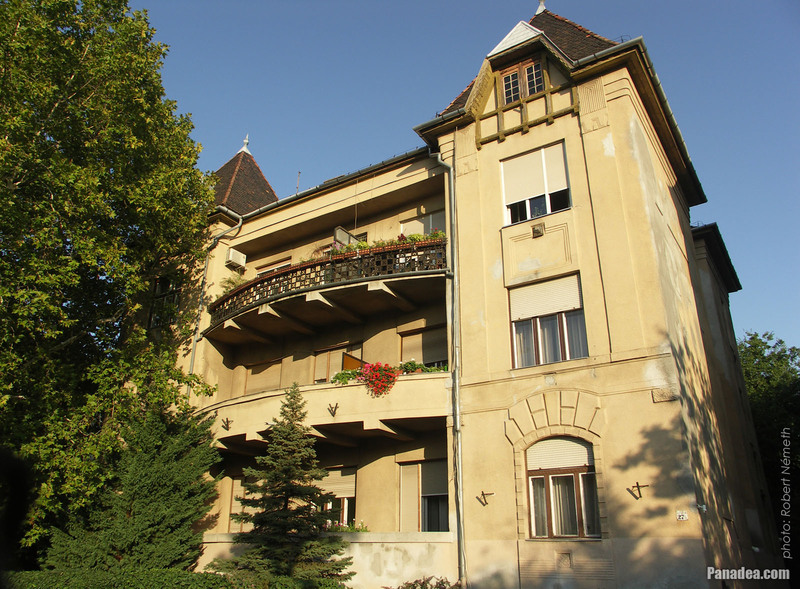 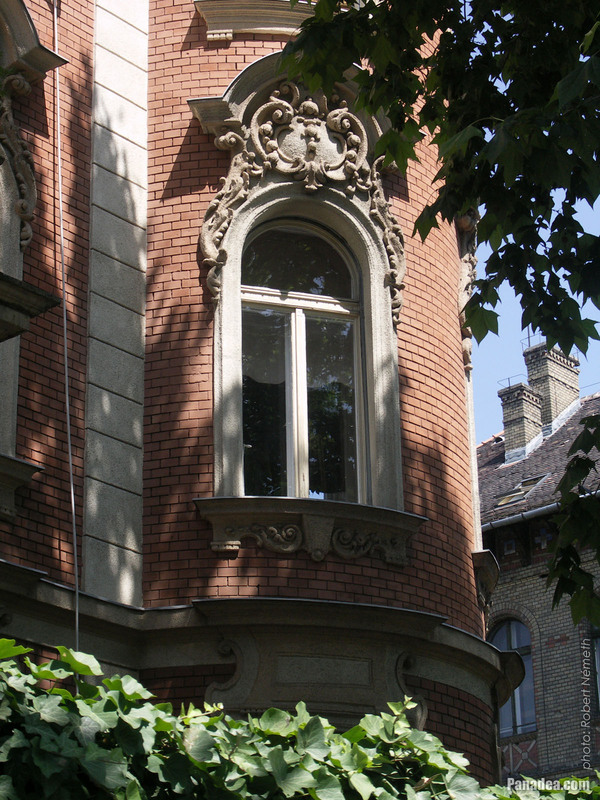 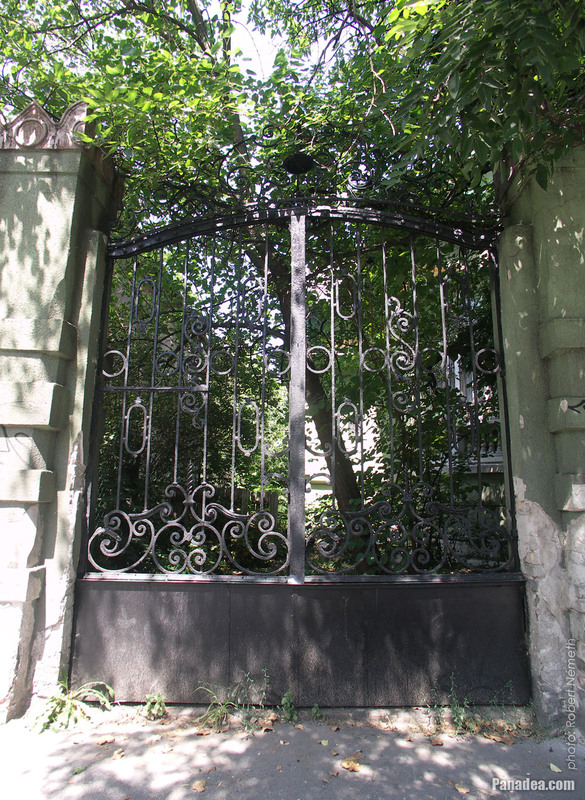 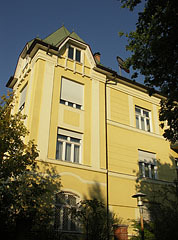 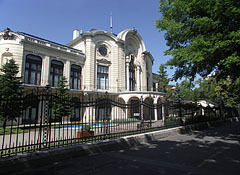 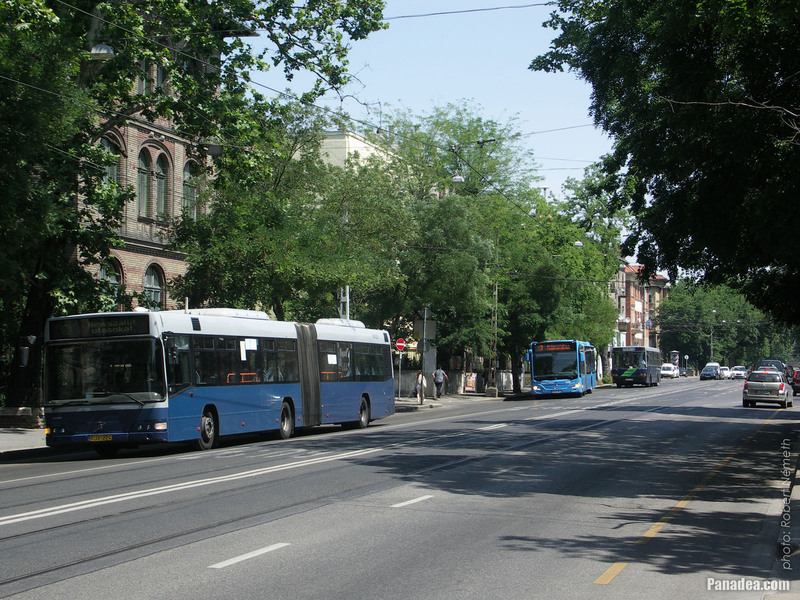 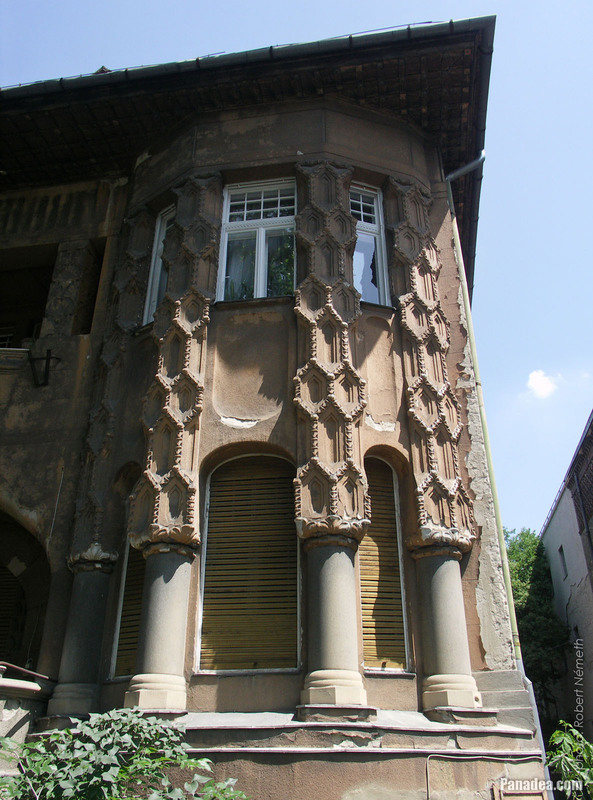 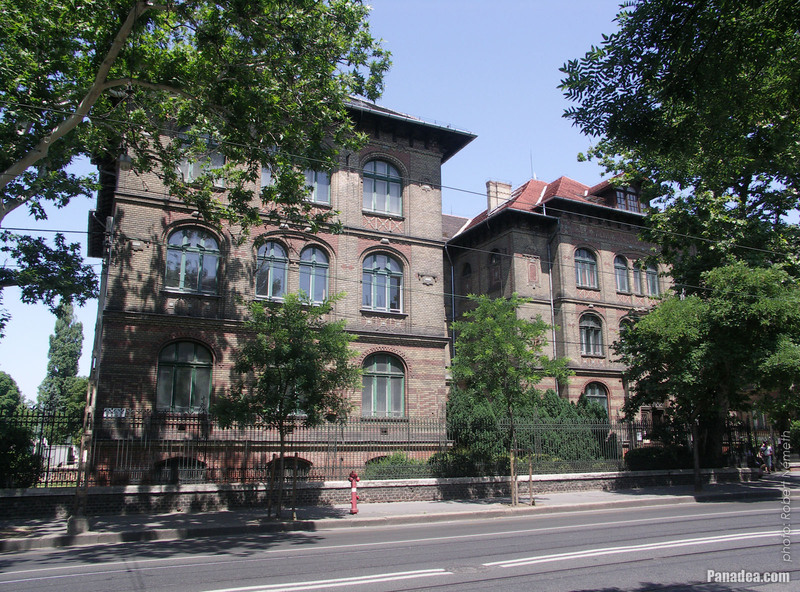 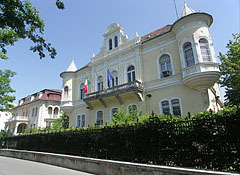 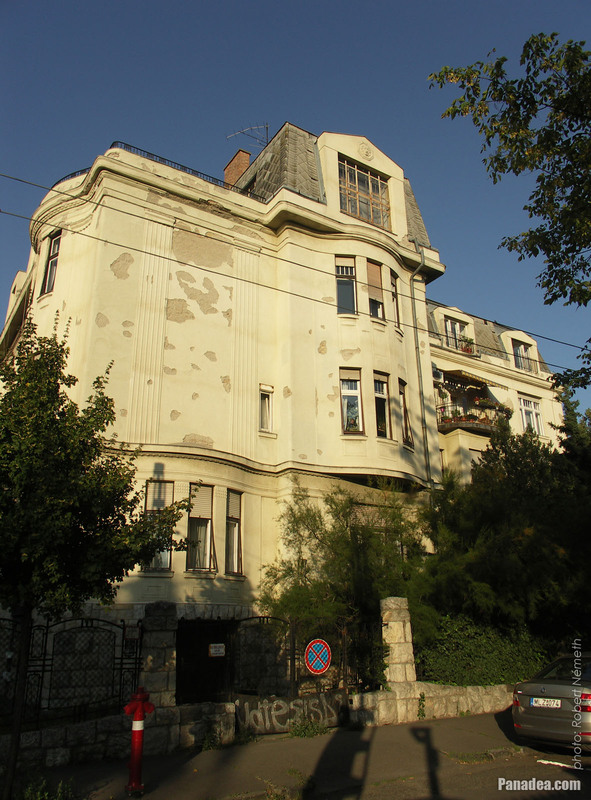 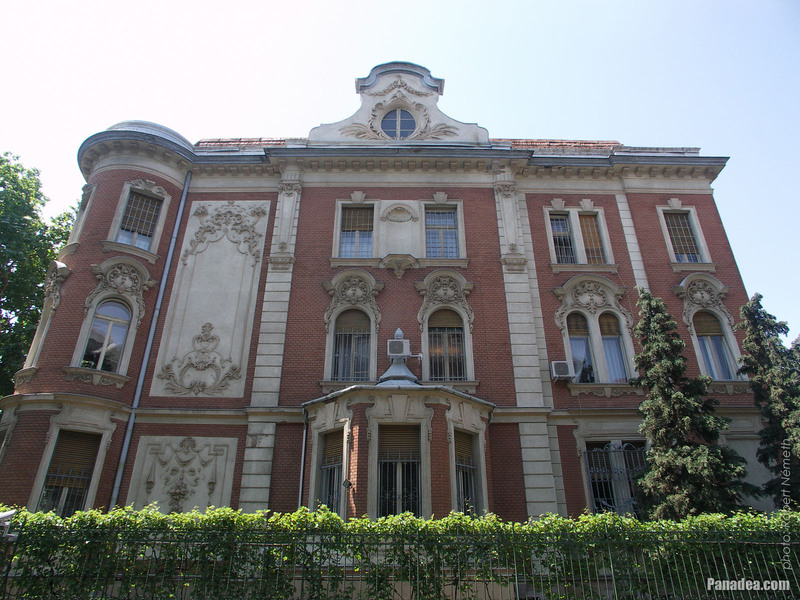 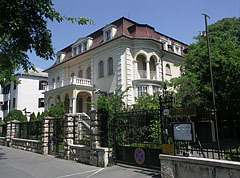 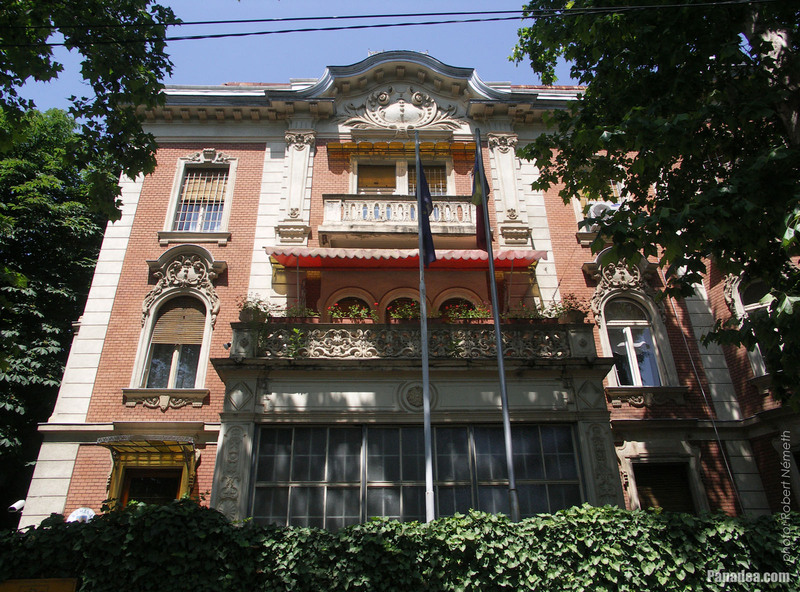 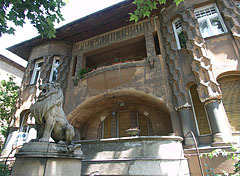 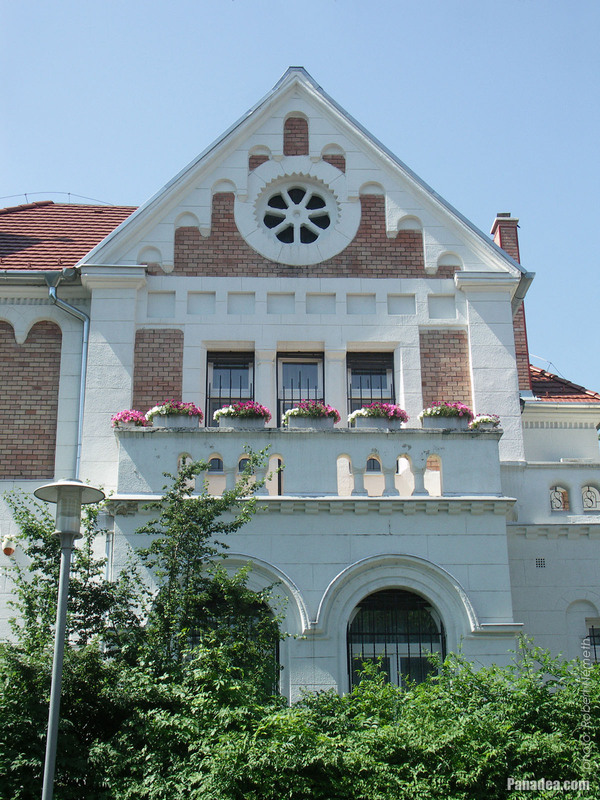 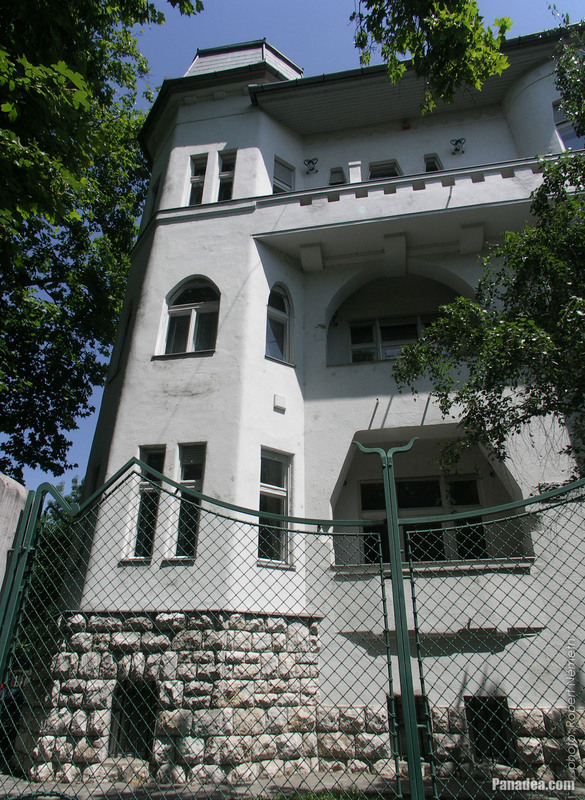 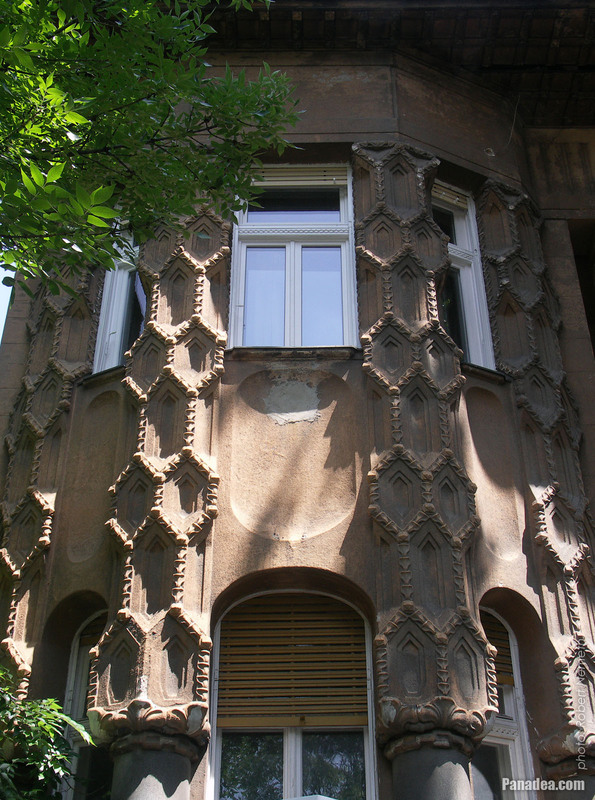 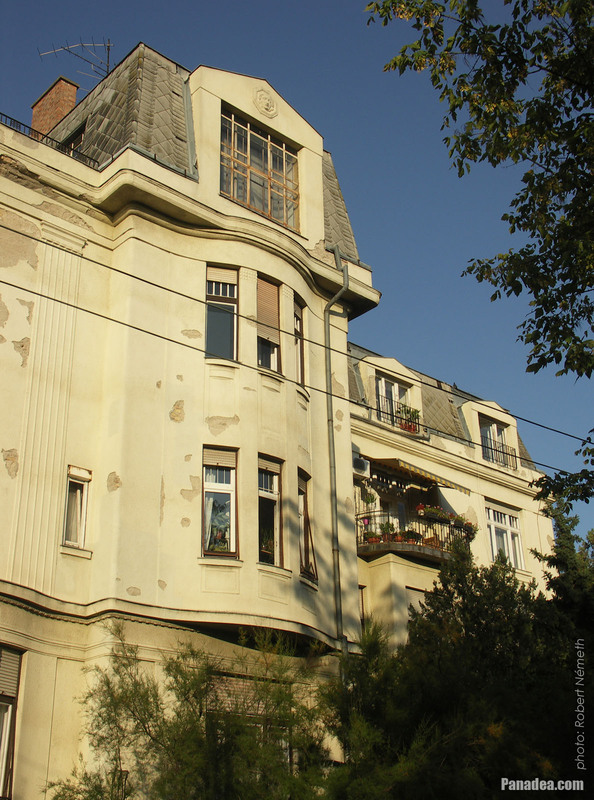 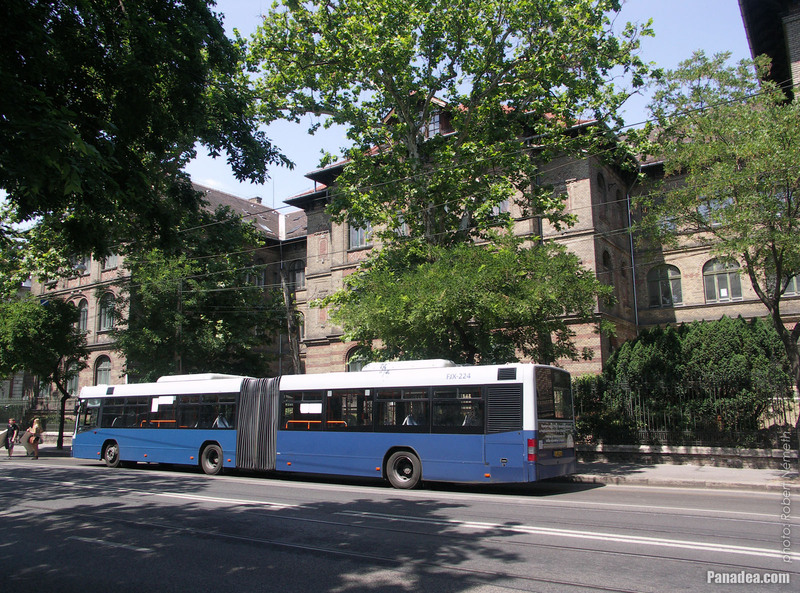 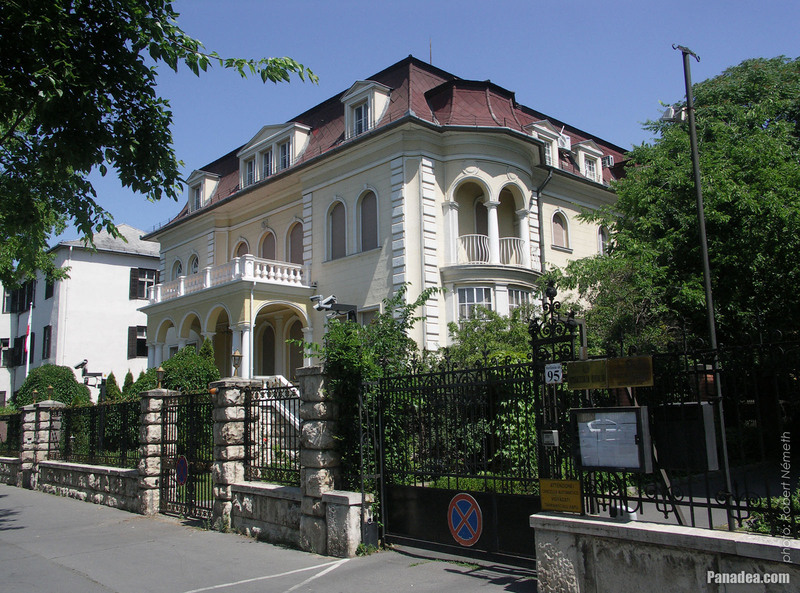 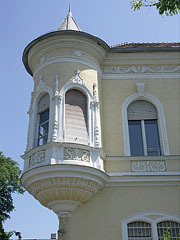 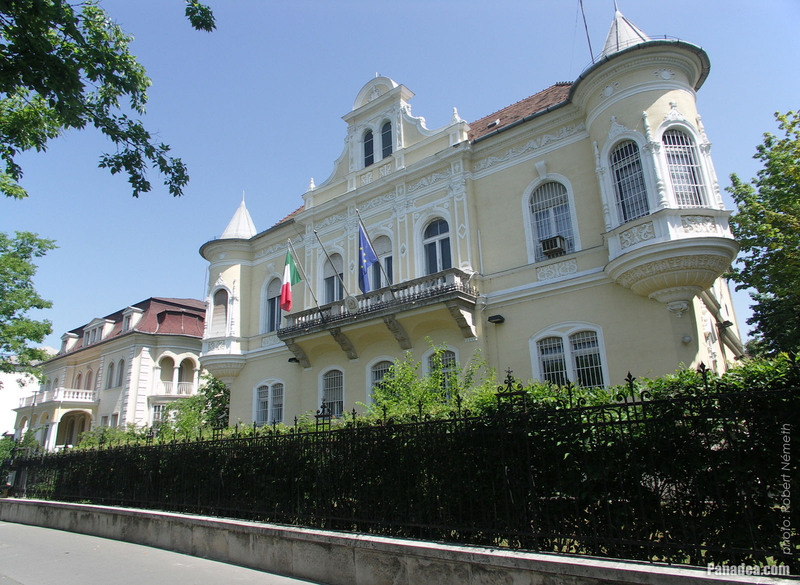 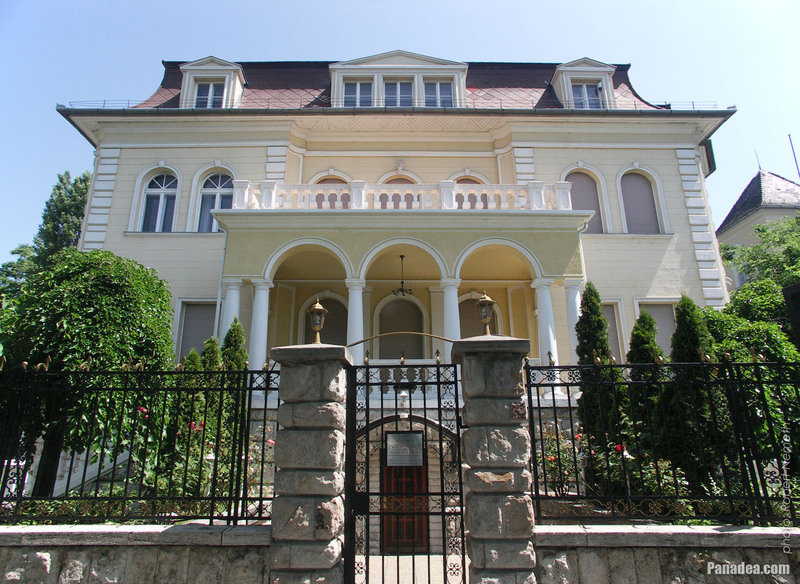 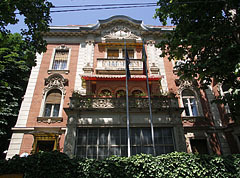 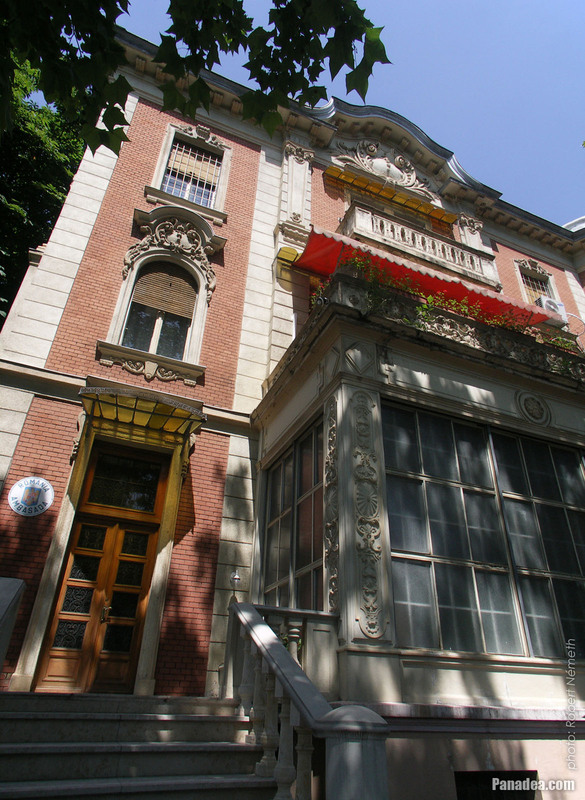 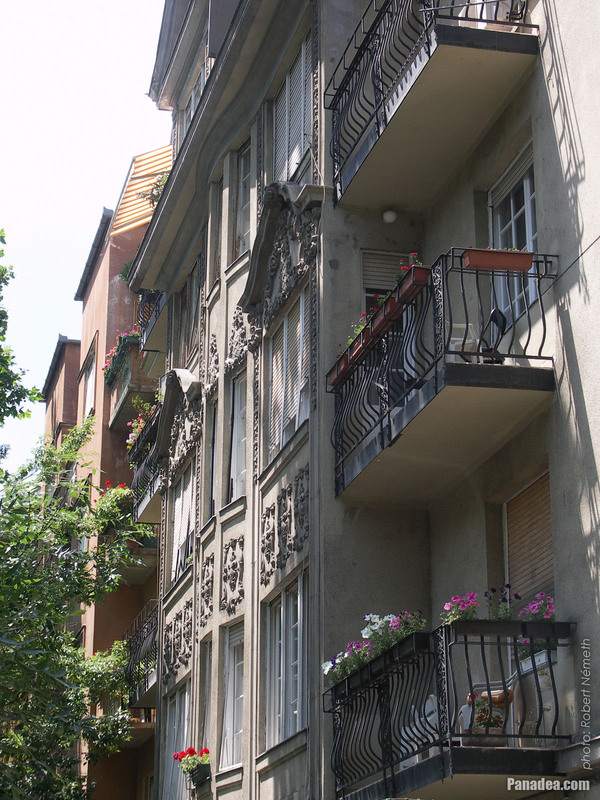 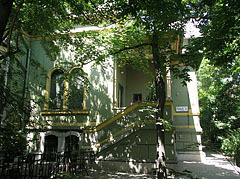 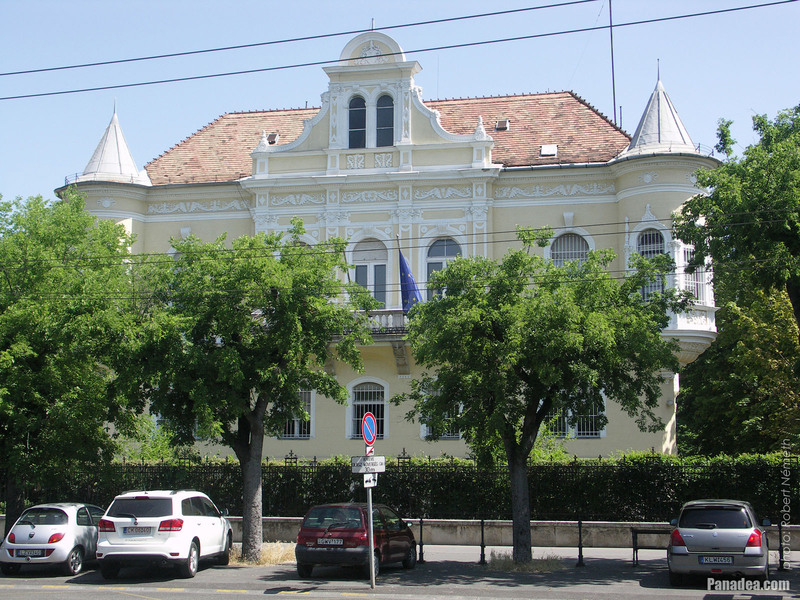 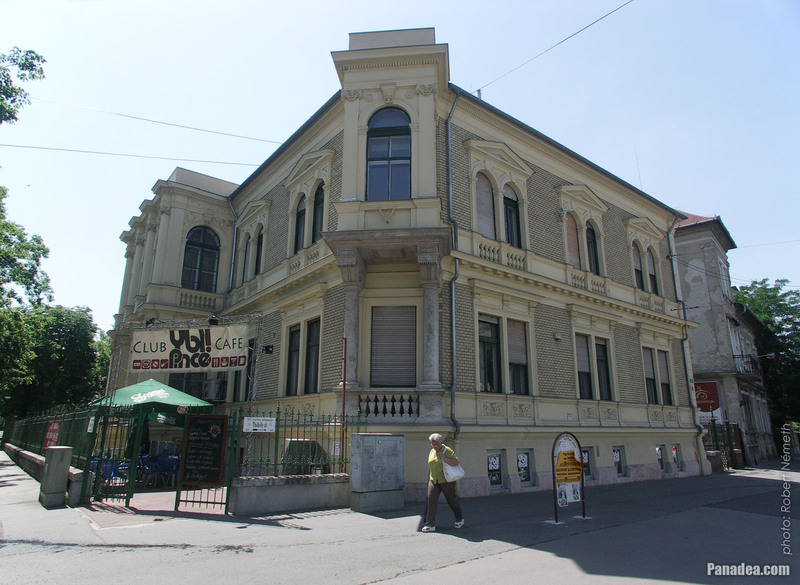 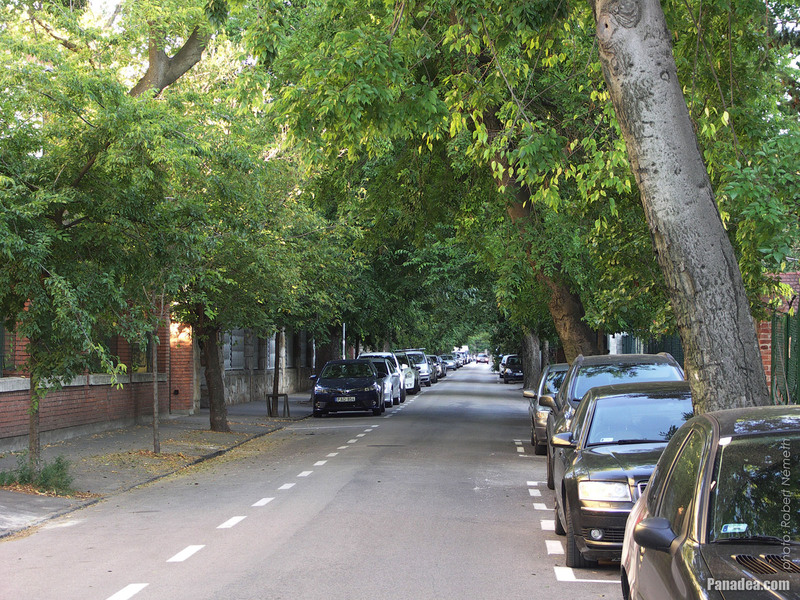 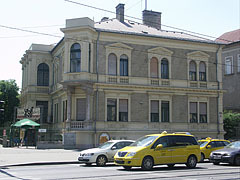 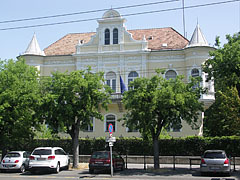 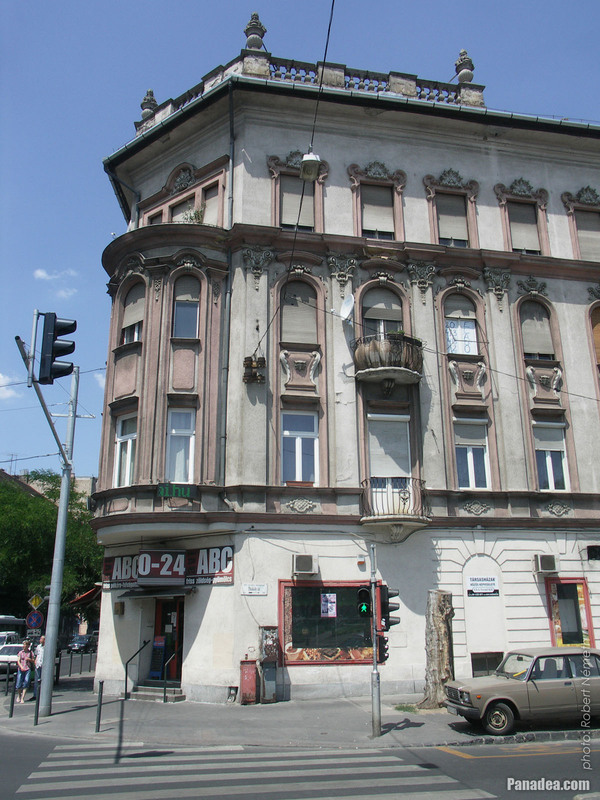 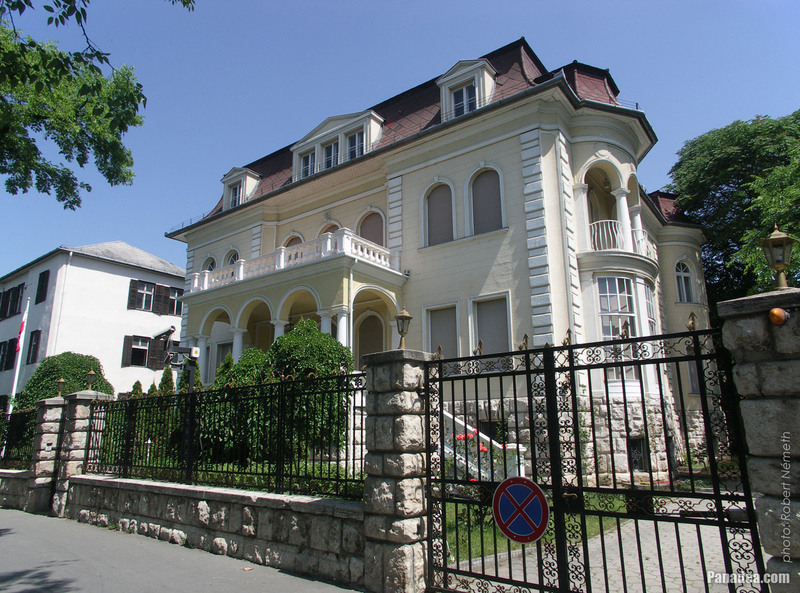 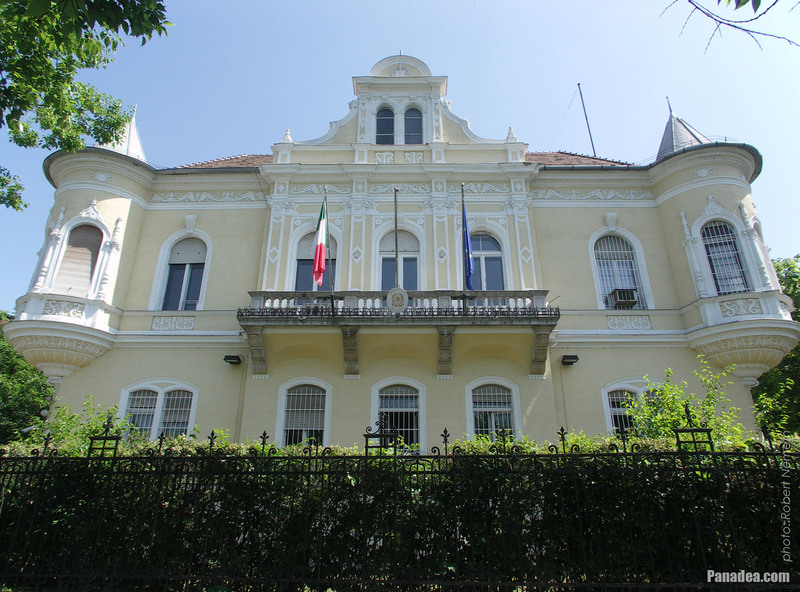 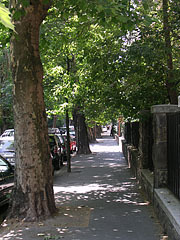 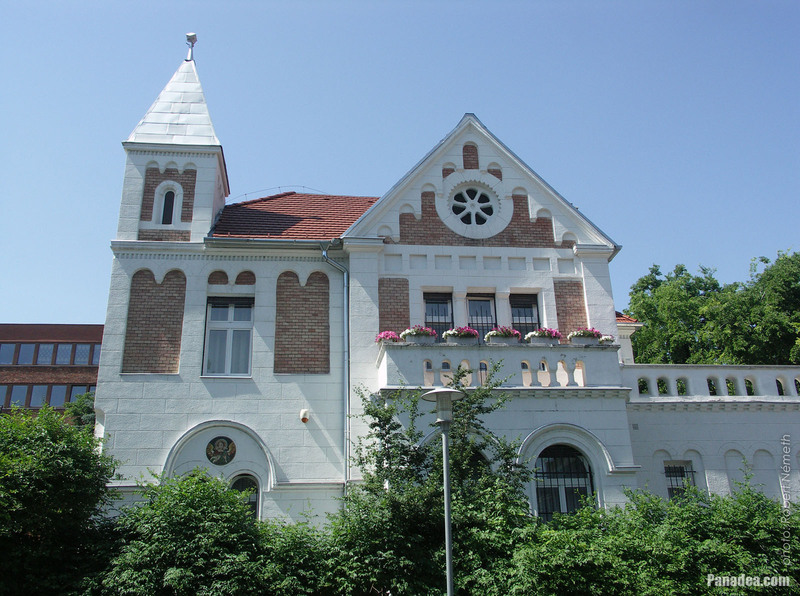 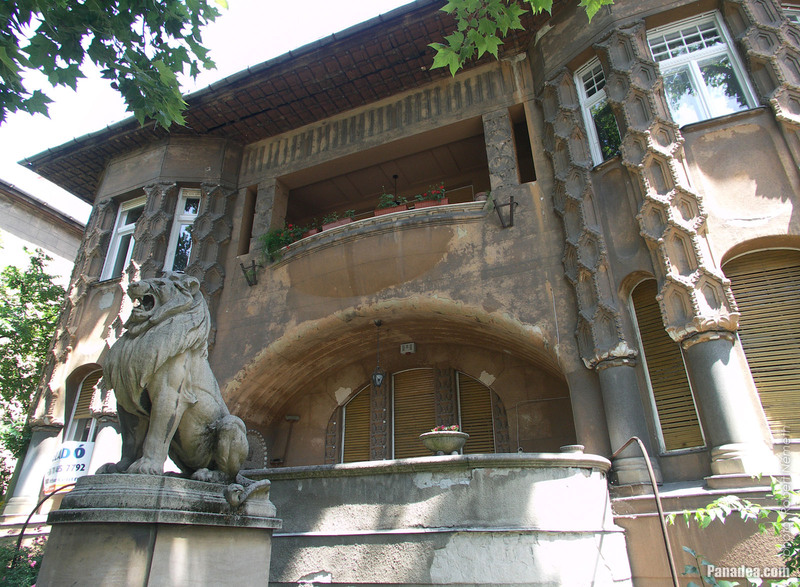 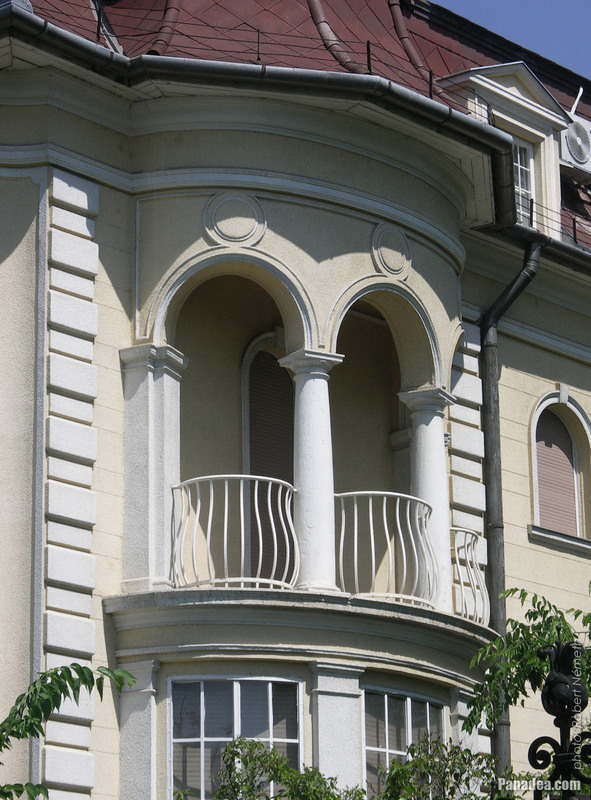 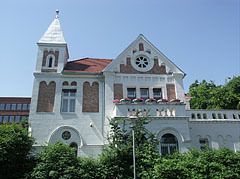 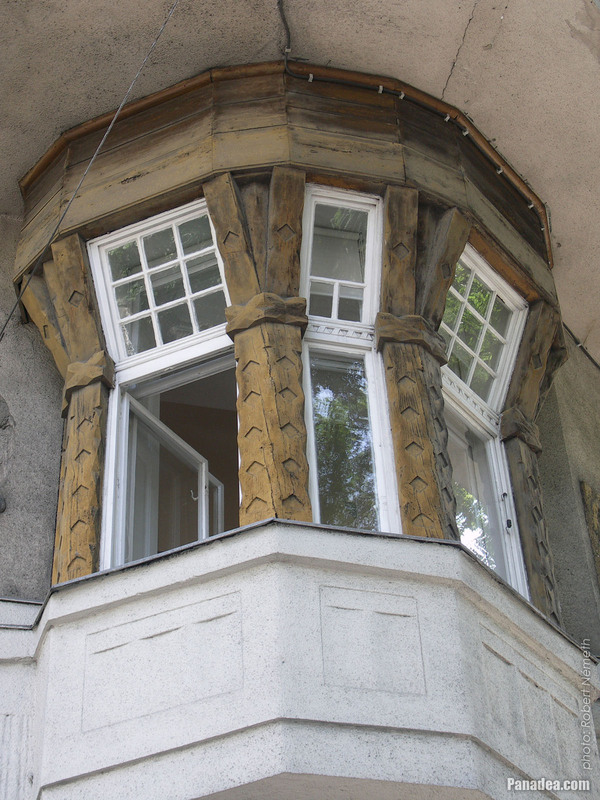 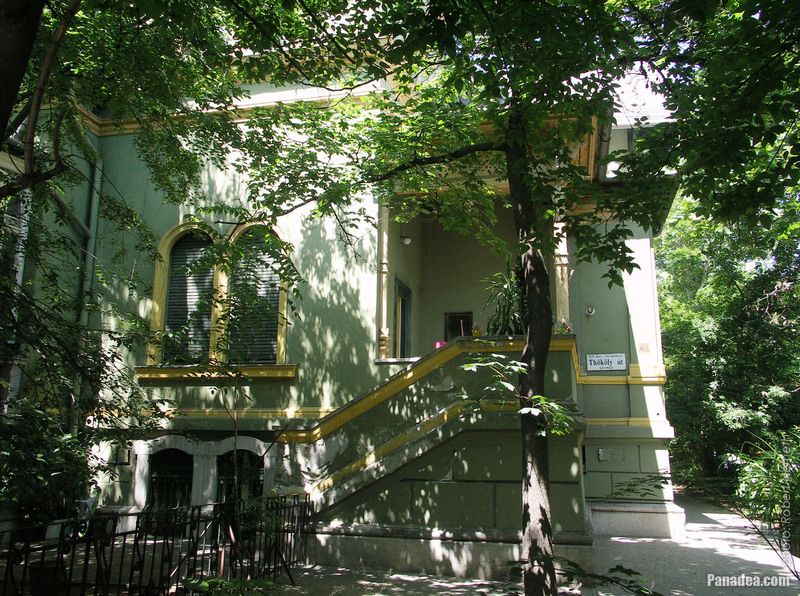 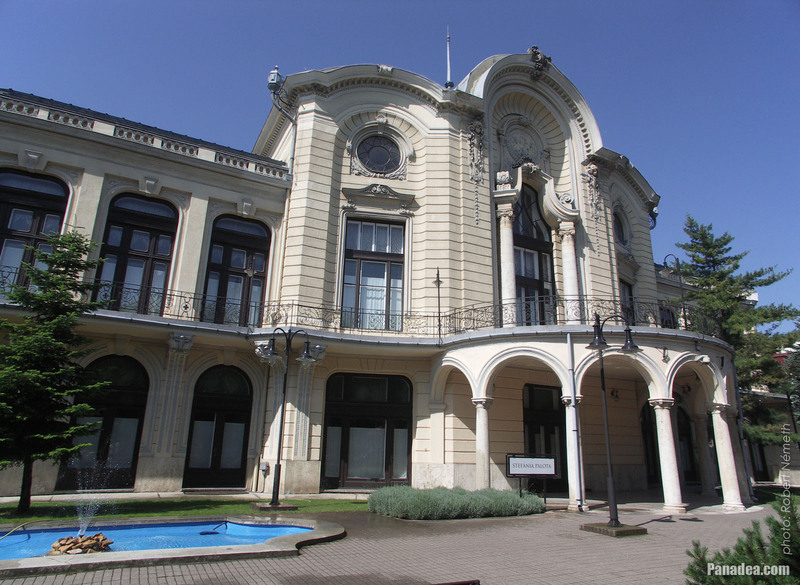 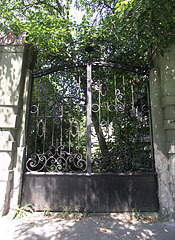 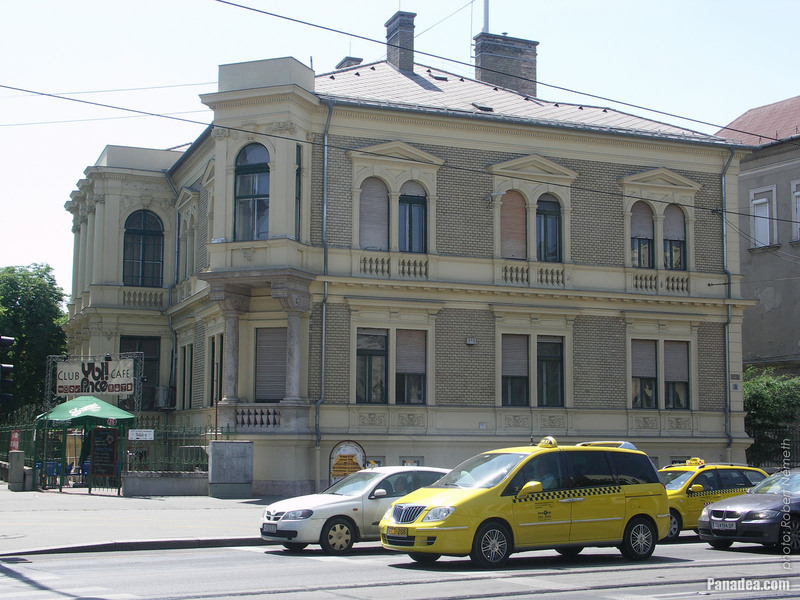 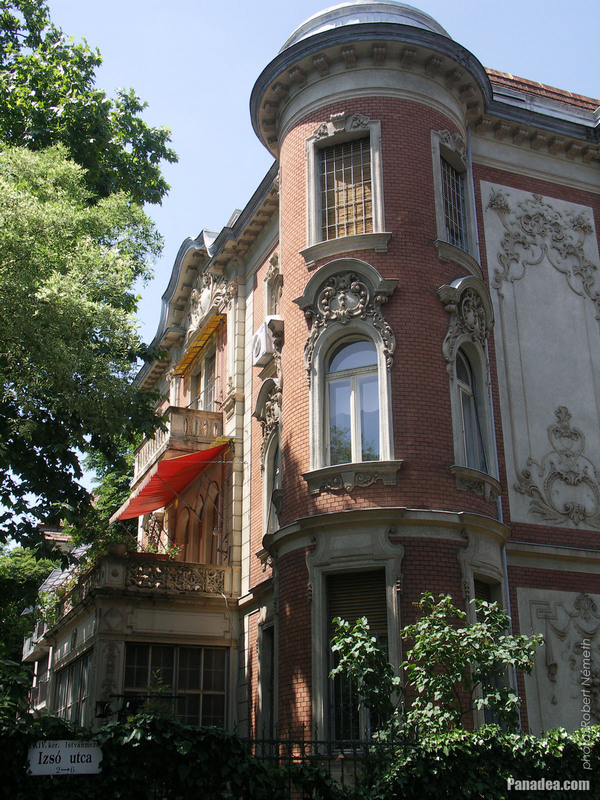 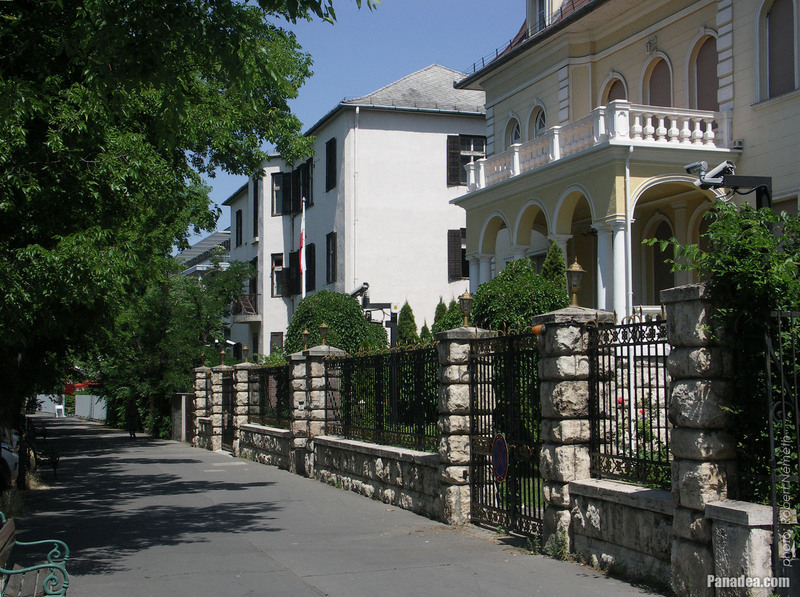 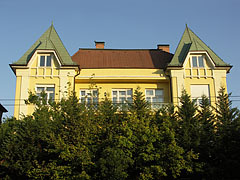 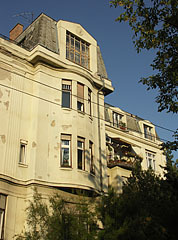 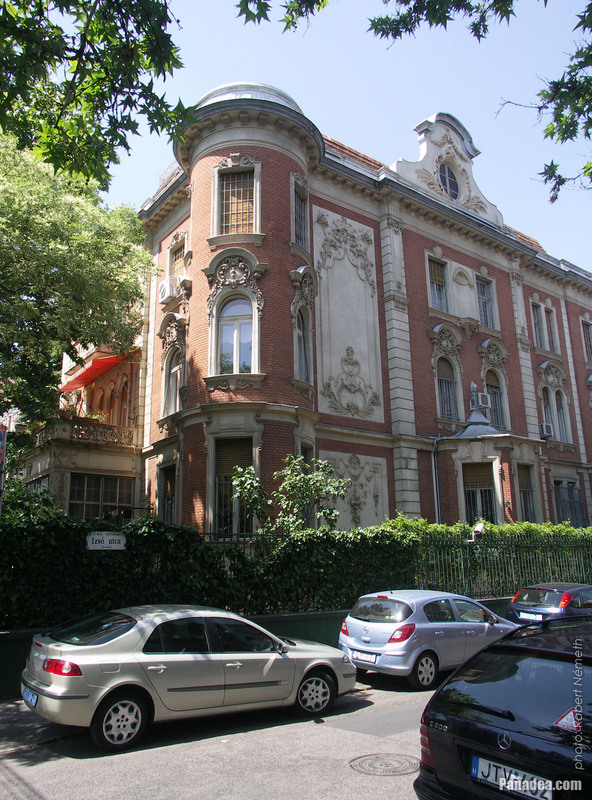 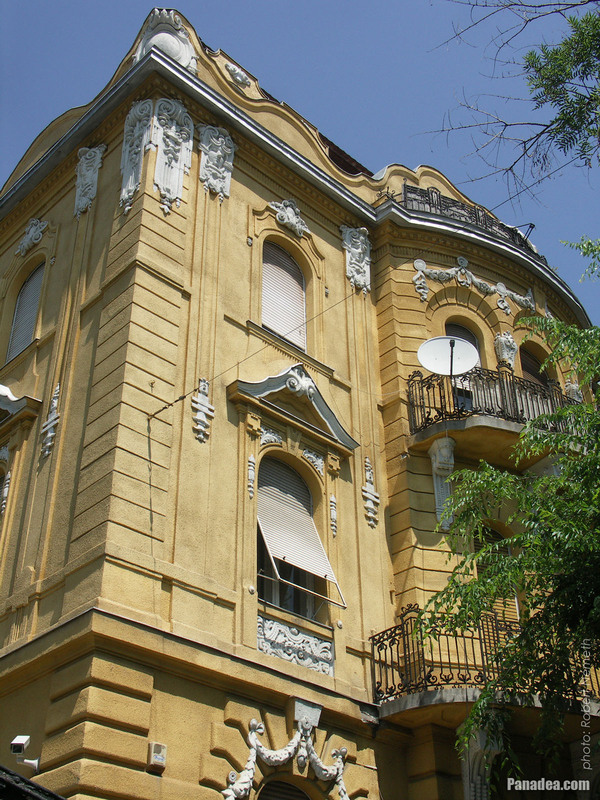 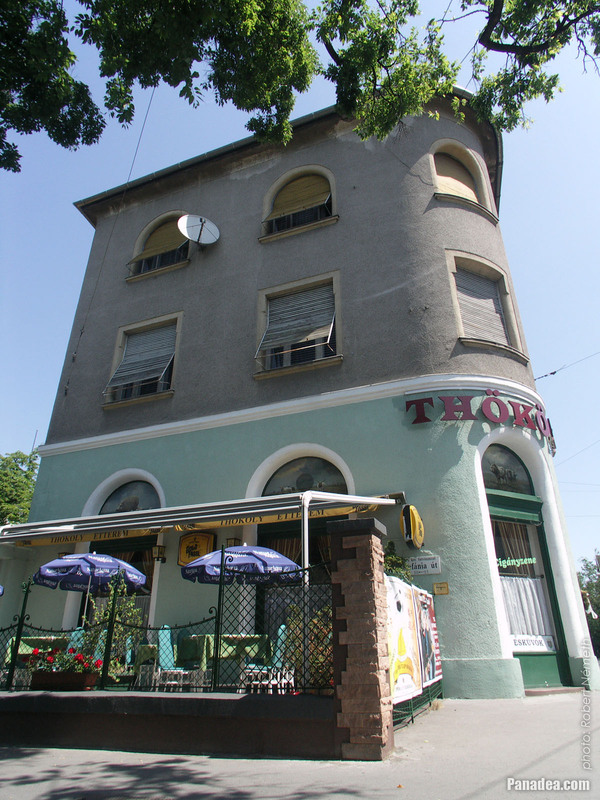 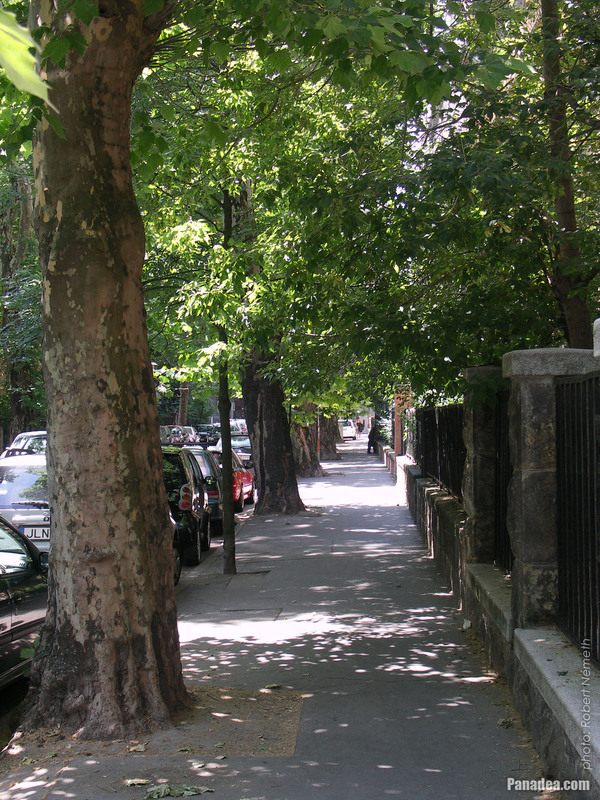 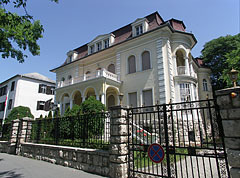 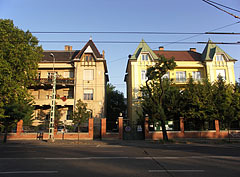 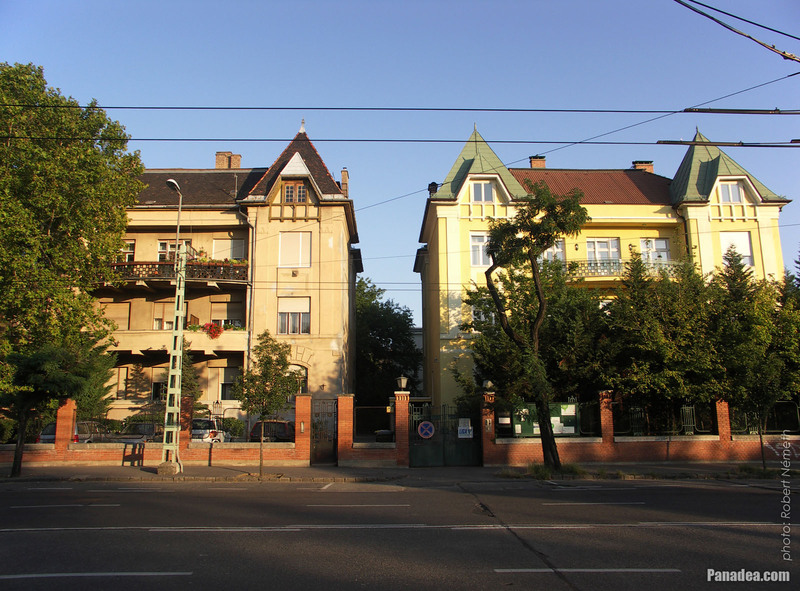 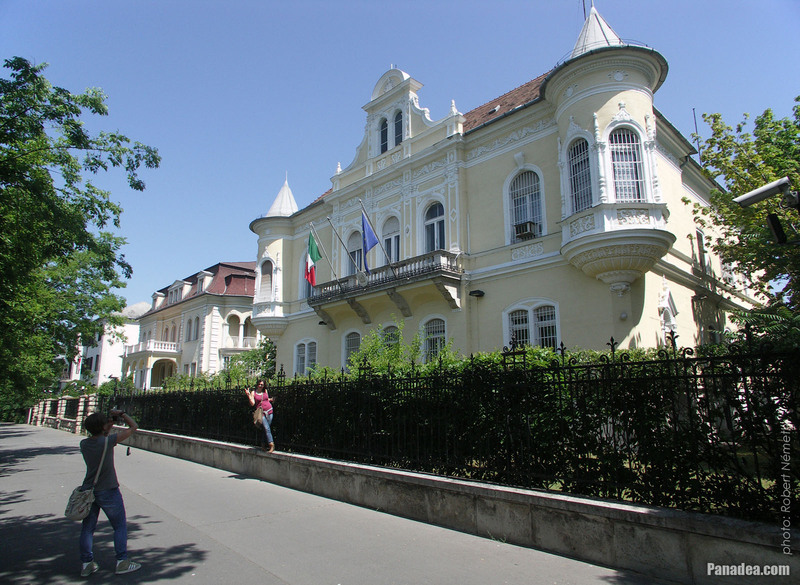 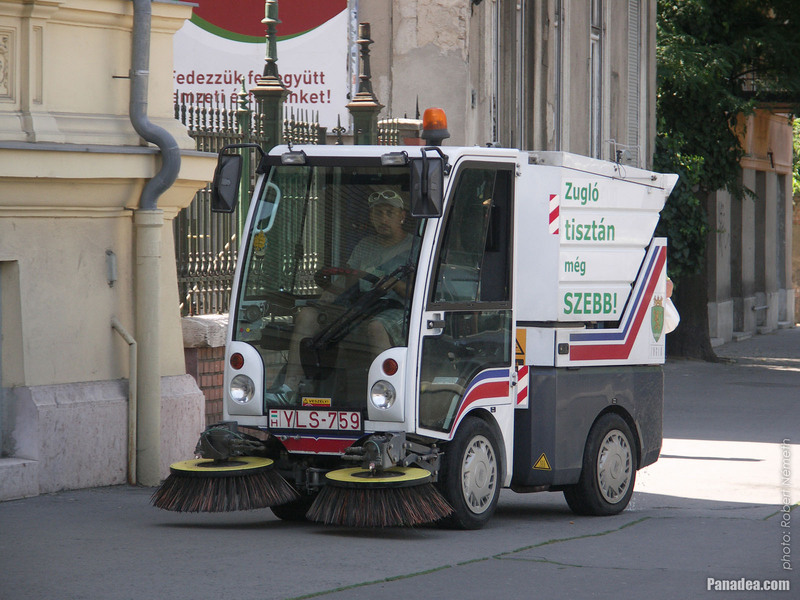 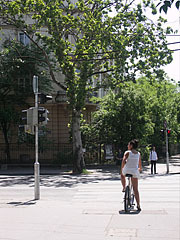 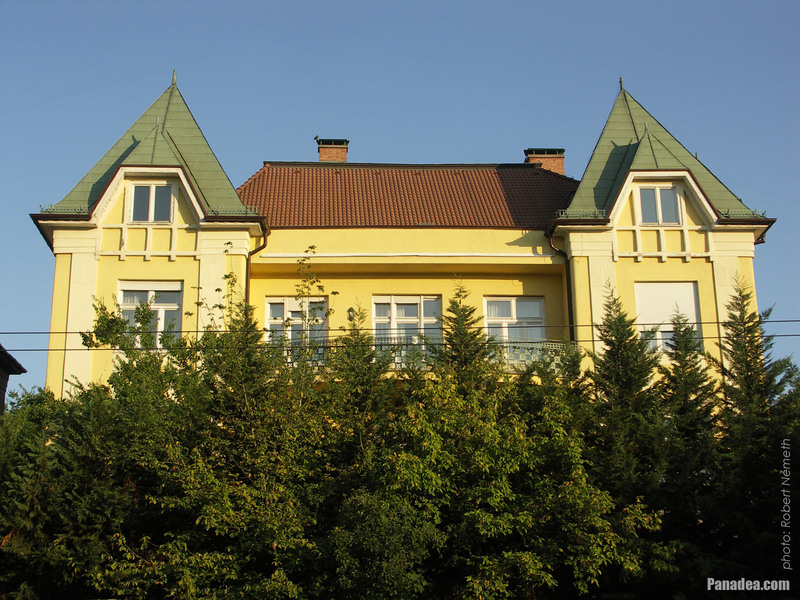 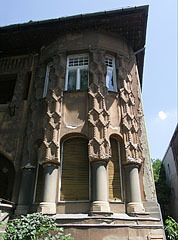 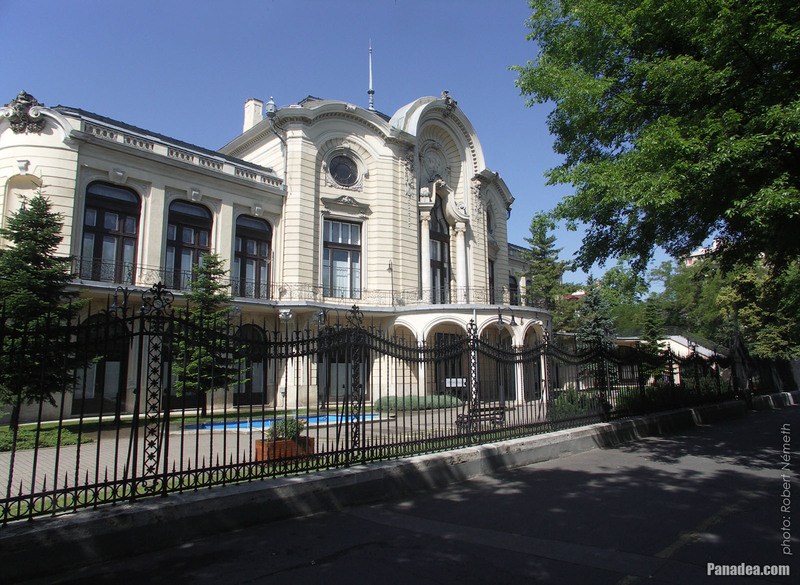 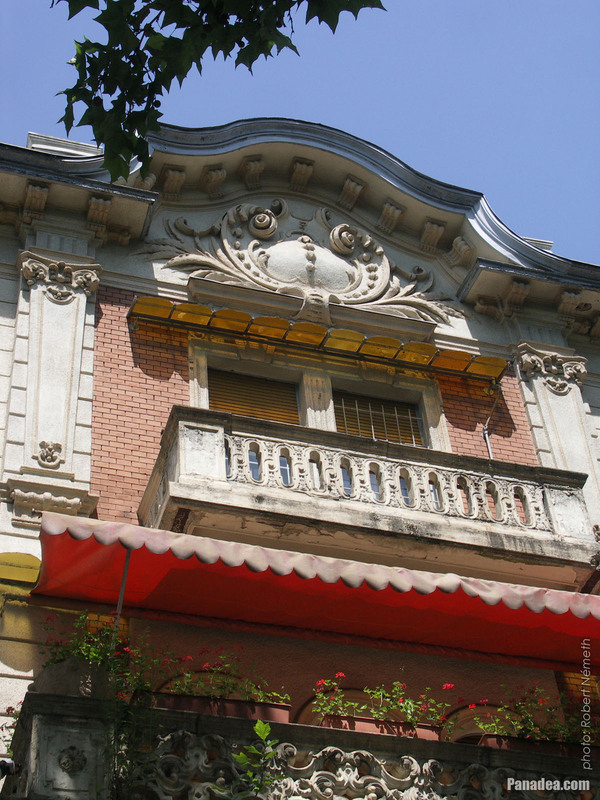 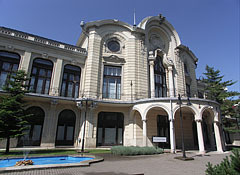 The house was built in 1905 by the plans of Ferenc Matouschek architect. 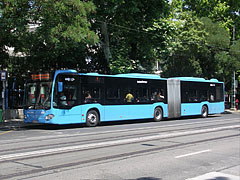 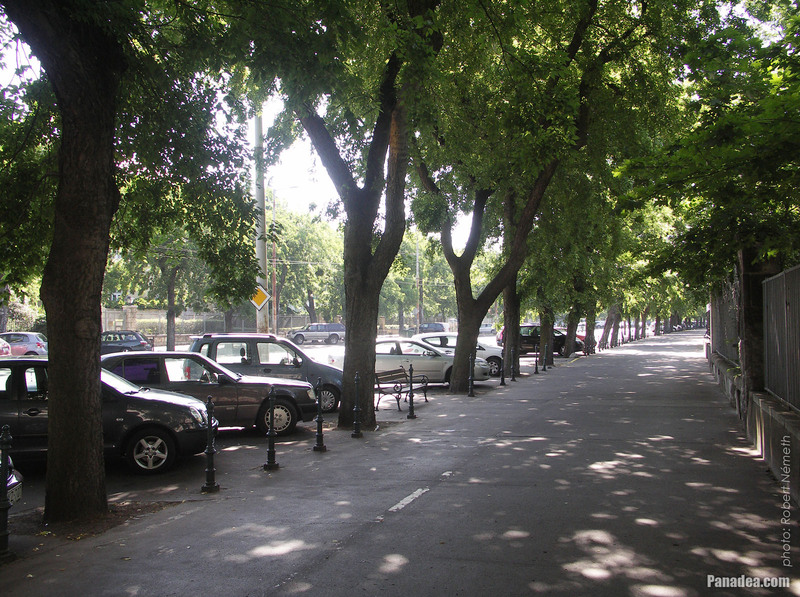 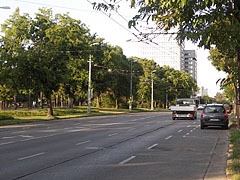 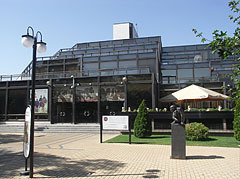 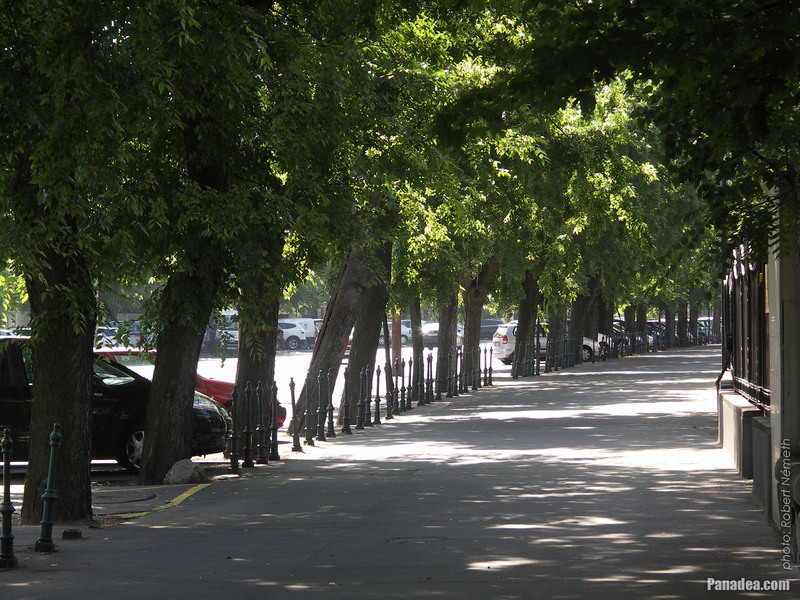 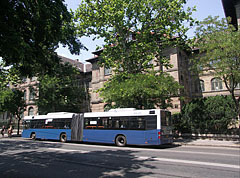 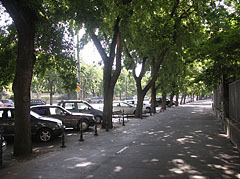 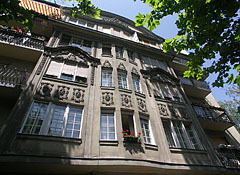 Designed by Béla Lajta in 1913-1914, the construction was completed by Ármin Hegedüs in 1923. 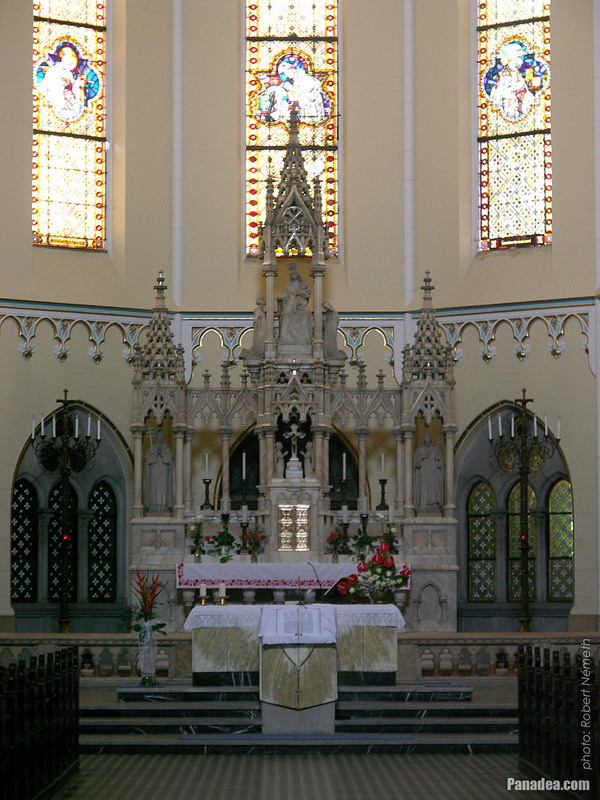 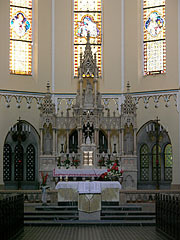 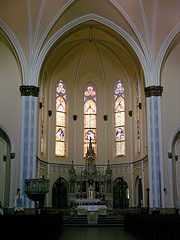 The stained-glass windows above the altar were created by Hajnalka Fuchs in 1953. 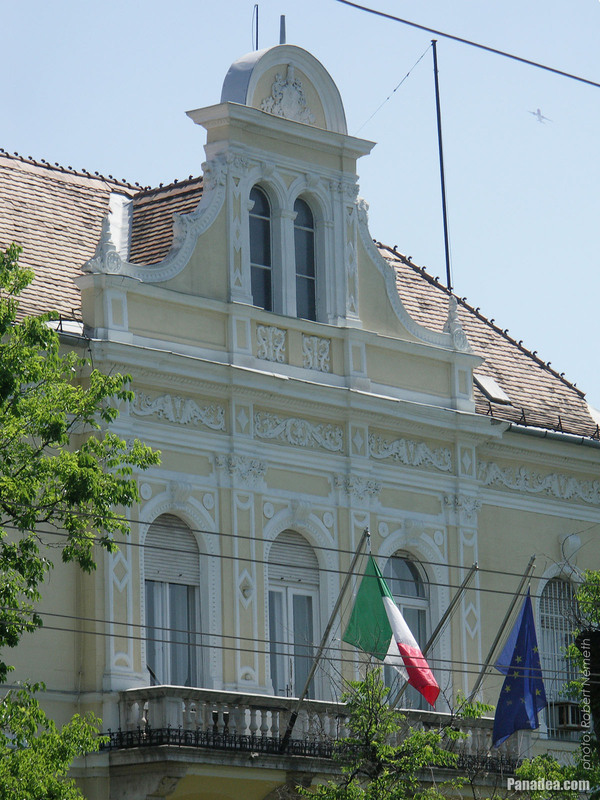 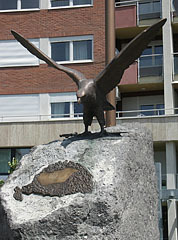 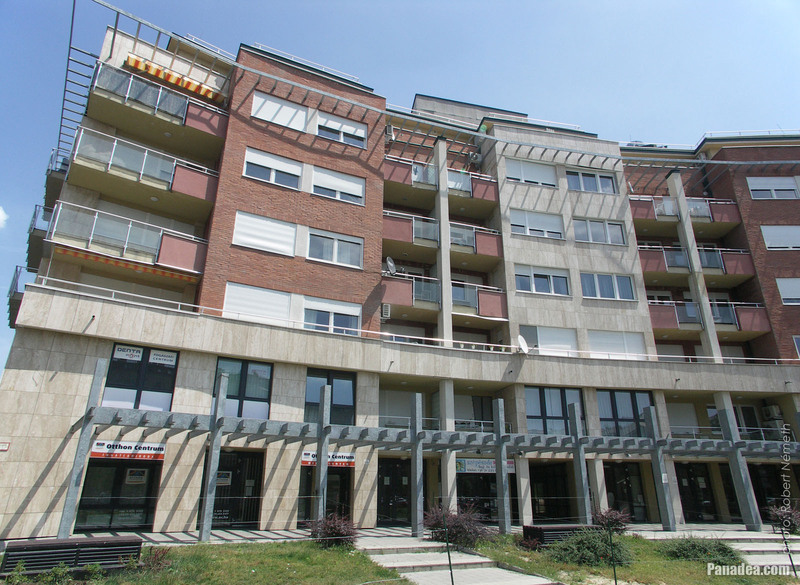 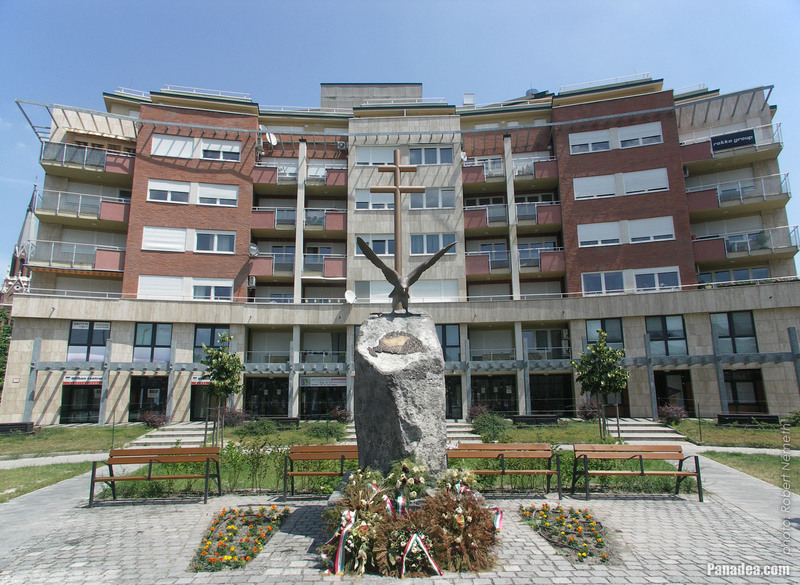 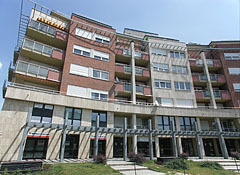 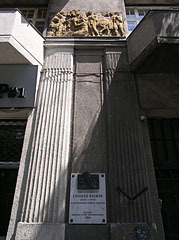 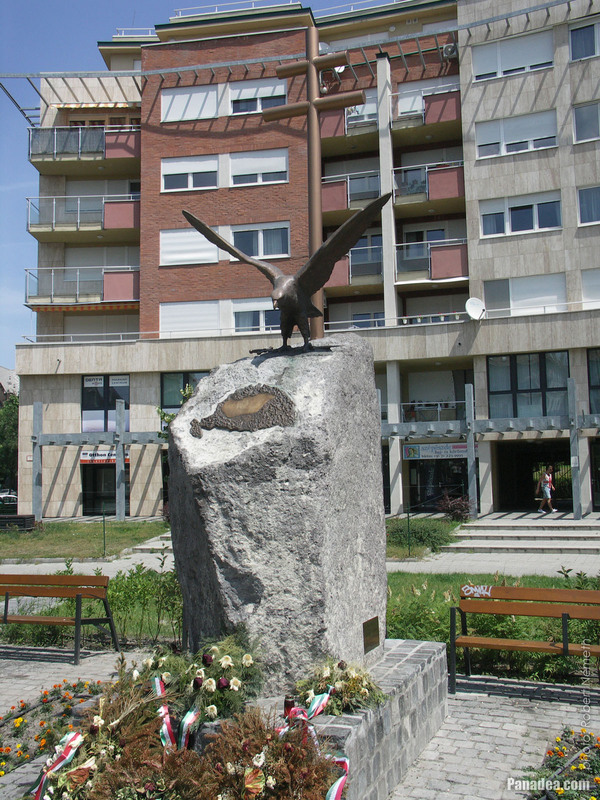 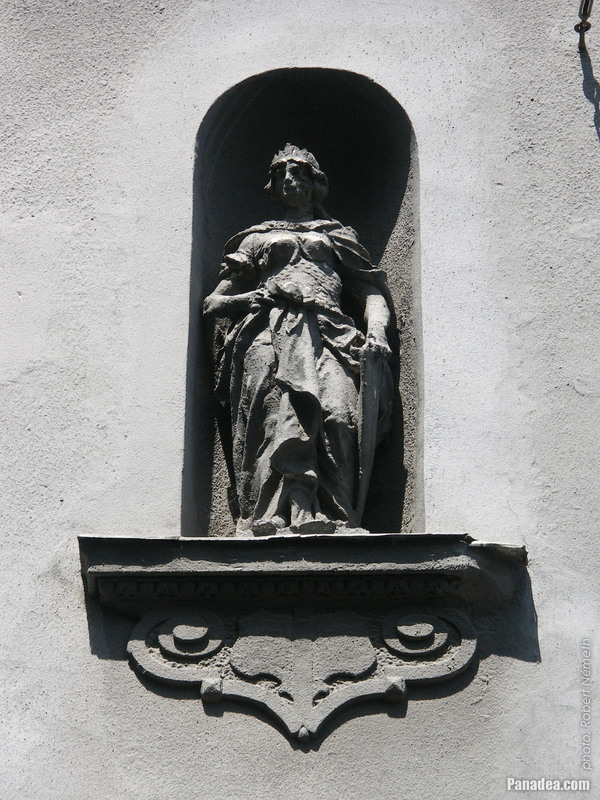 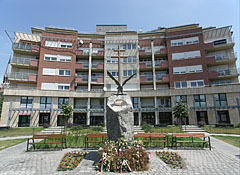 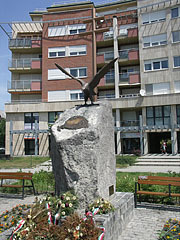 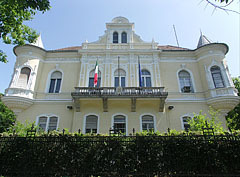 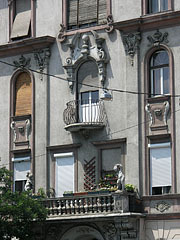 The Carrara marble sculpture group was created by István Möller. 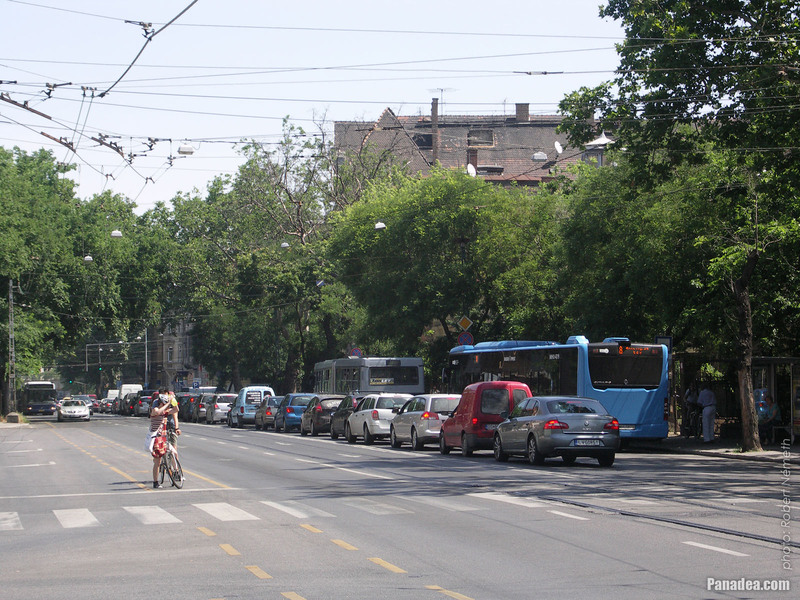 Formerly there was a tram line here, that's why there are rails on the road. 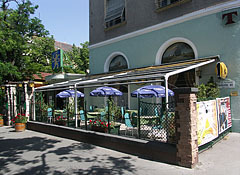 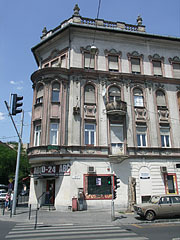 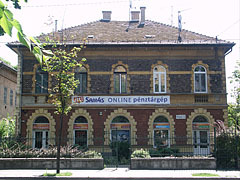 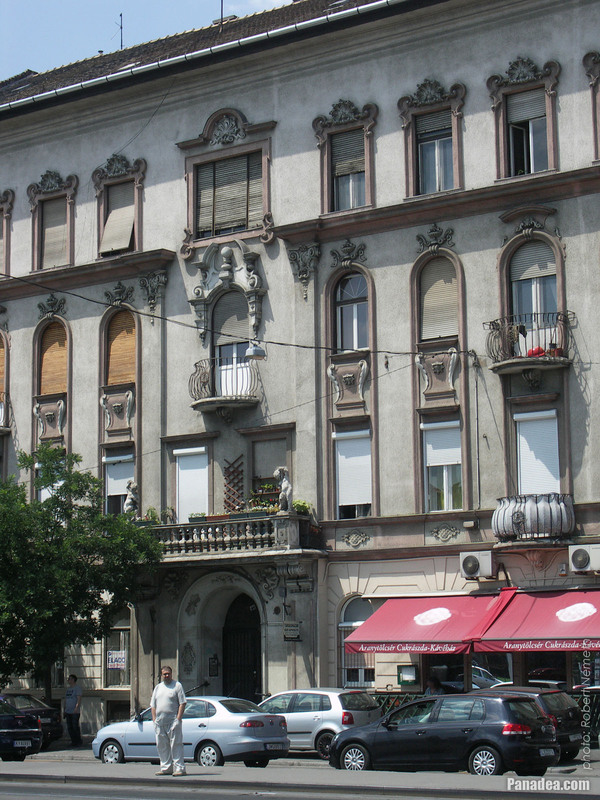 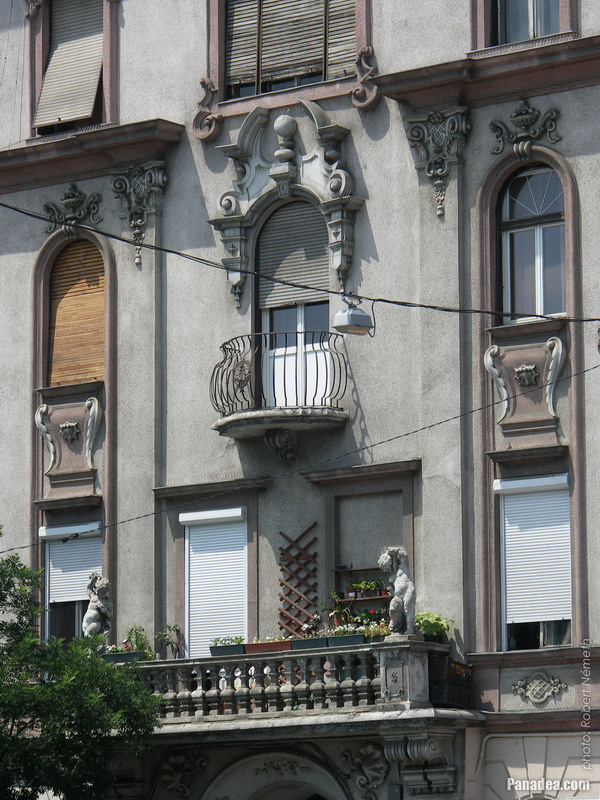 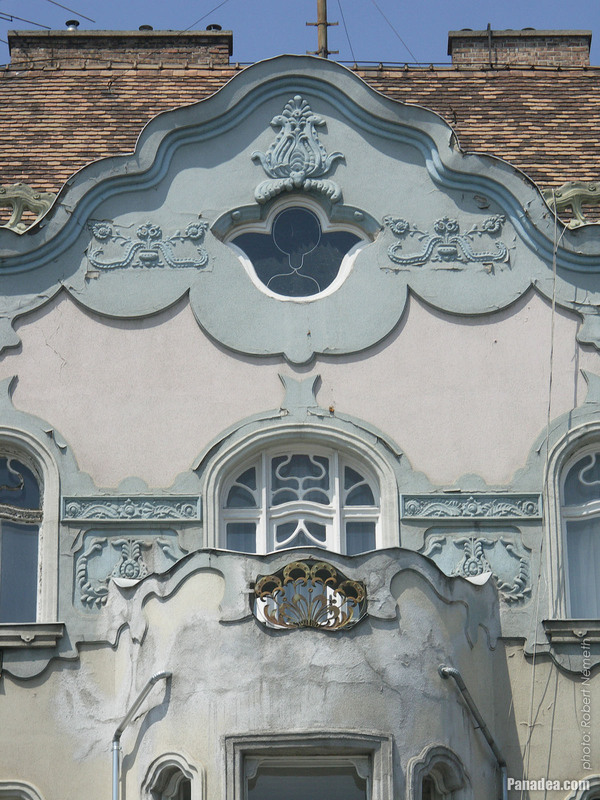 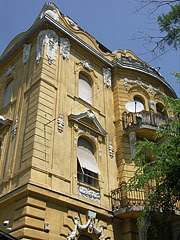 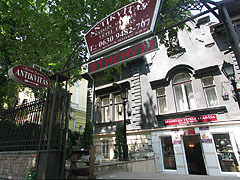 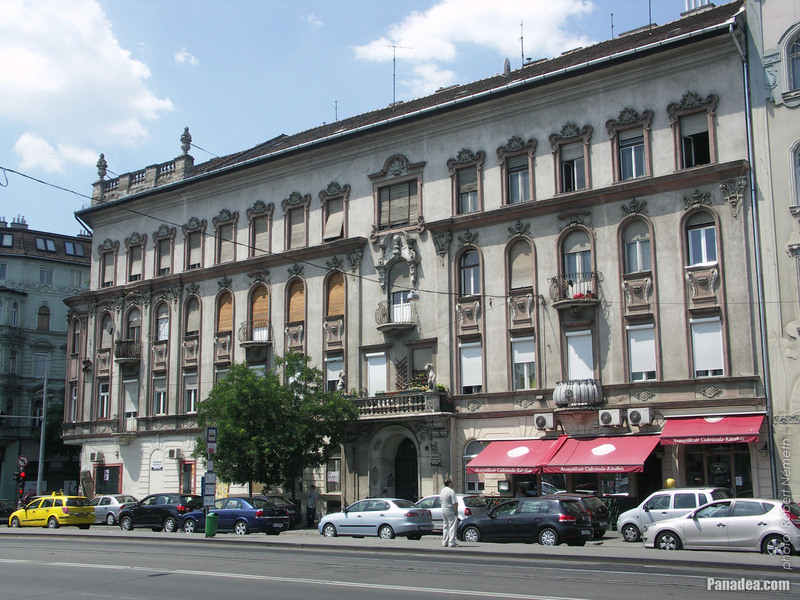 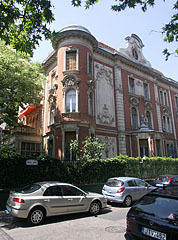 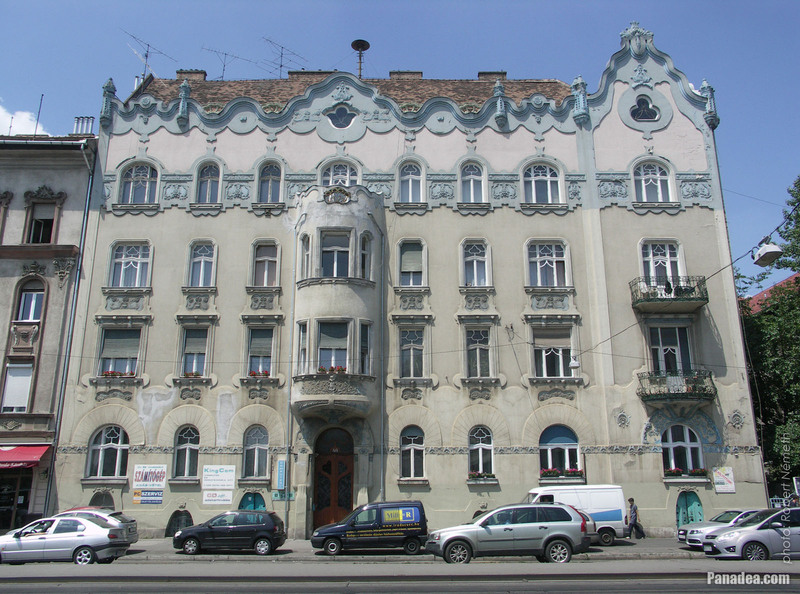 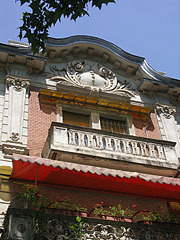 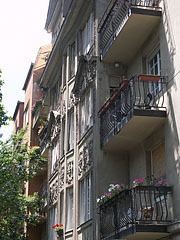 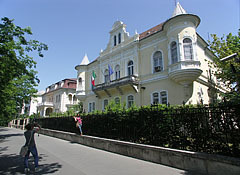 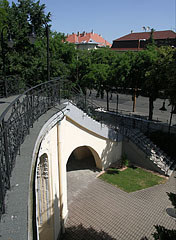 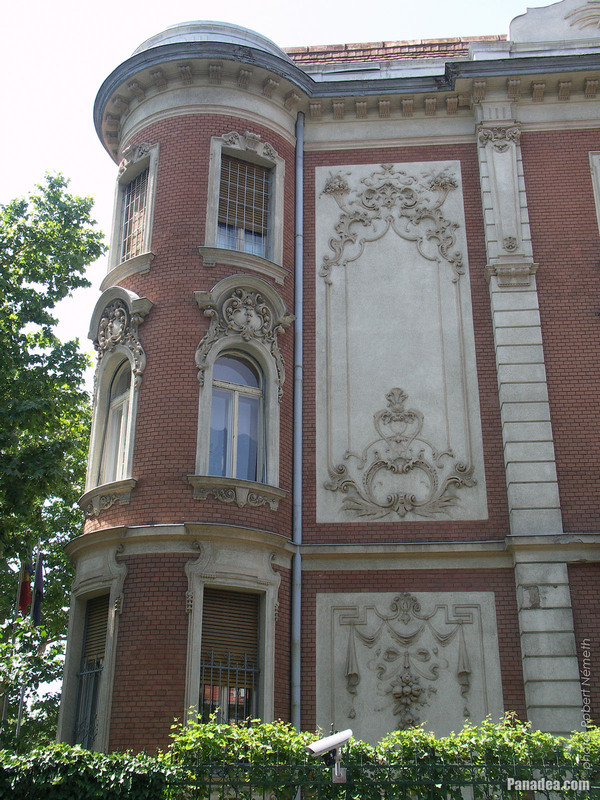 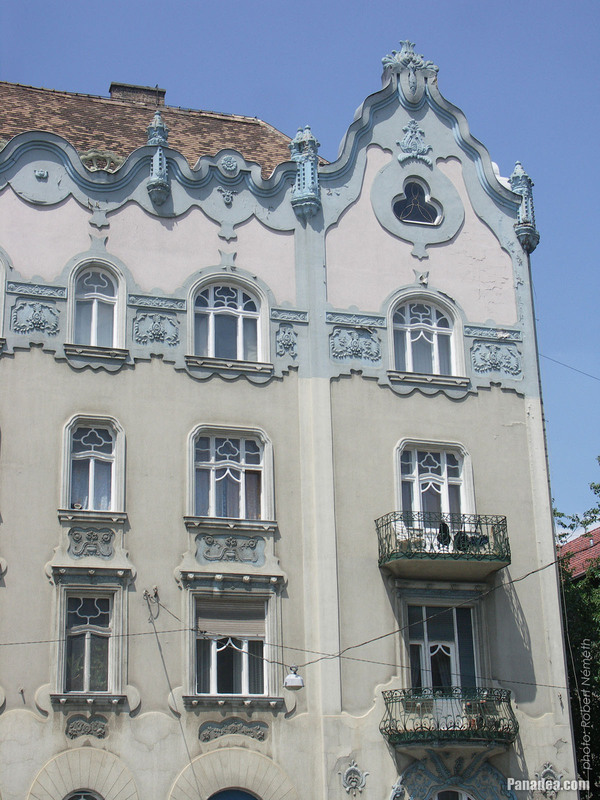 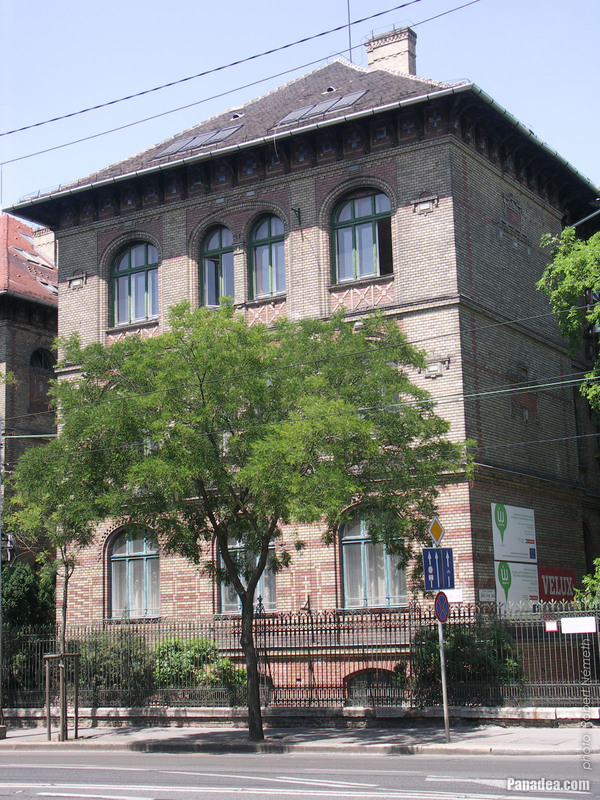 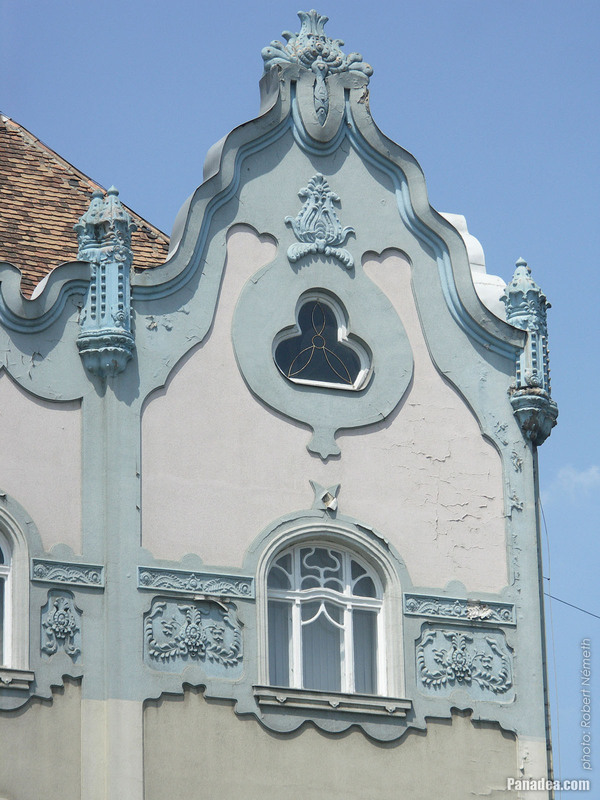 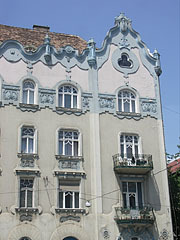 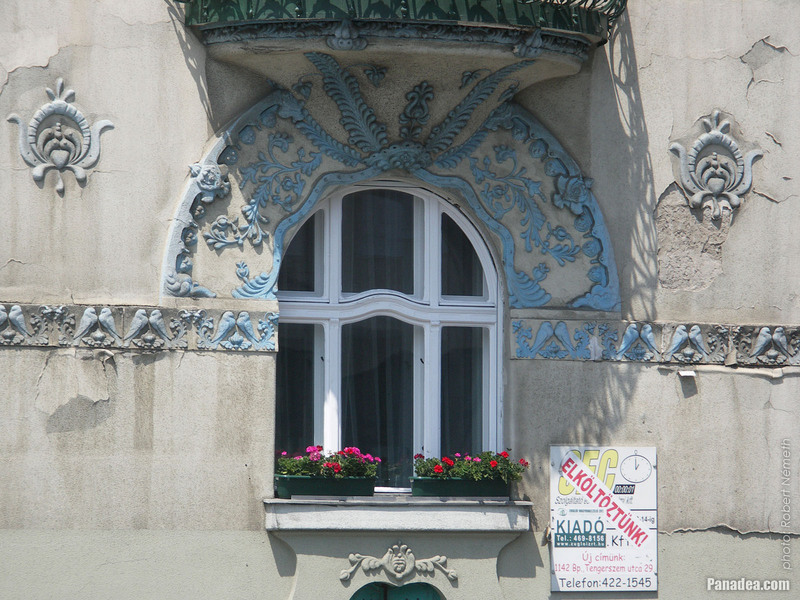 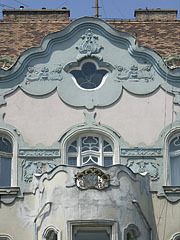 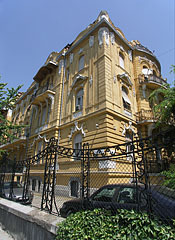 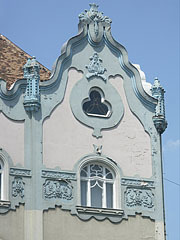 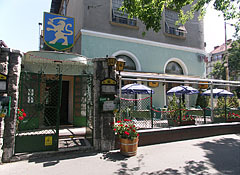 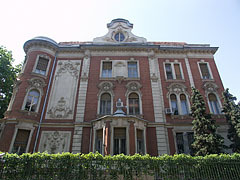 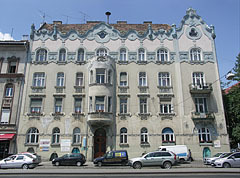 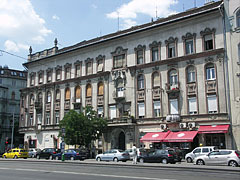 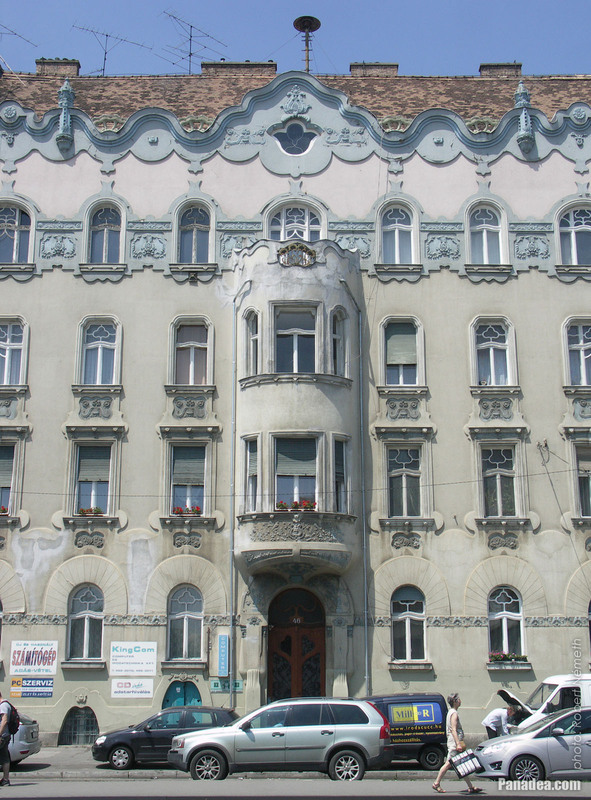 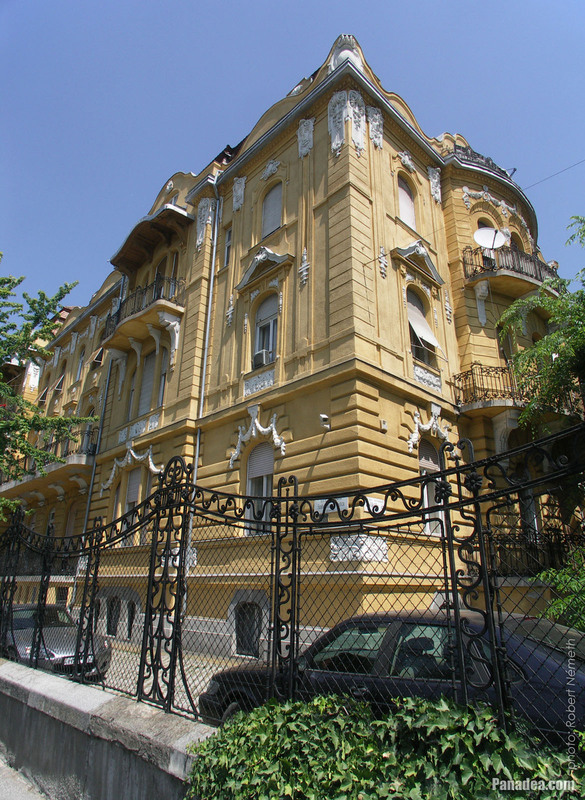 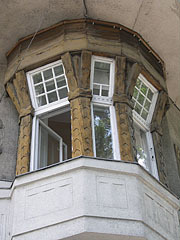 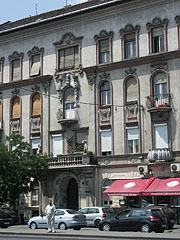 Built in 1906, architect: István Nagy jr. 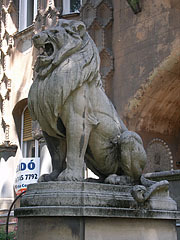 This lion statue is the only remaining part of the monument, that was created by Gyula Maugsch Hungarian architect in 1928. 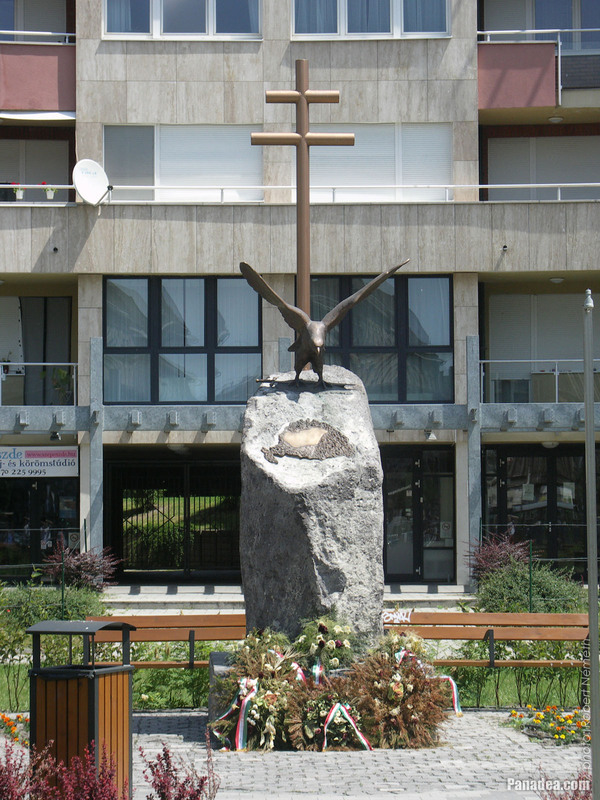 It is standing here since 1945. 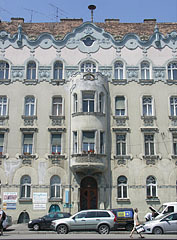 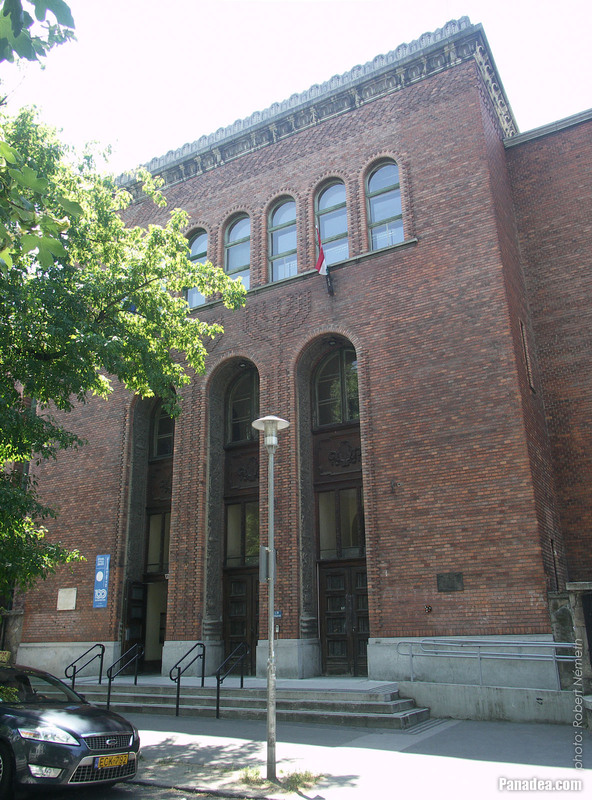 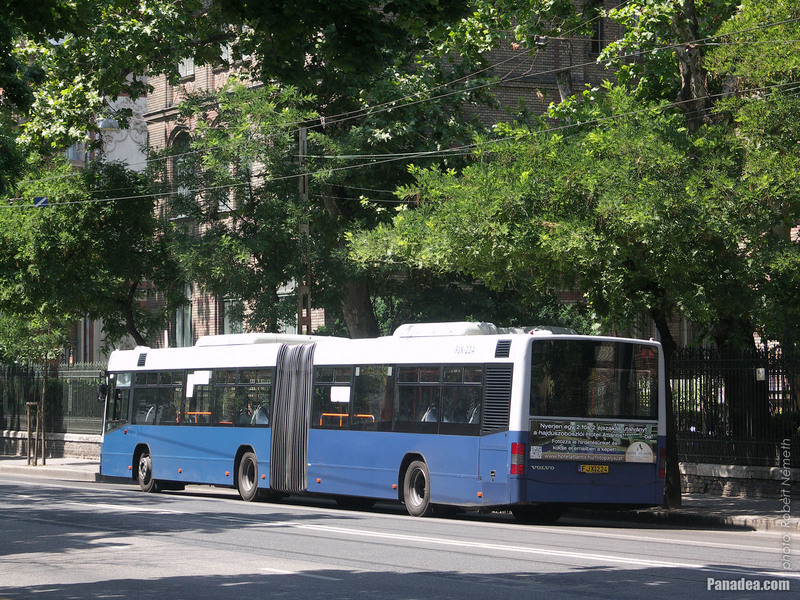 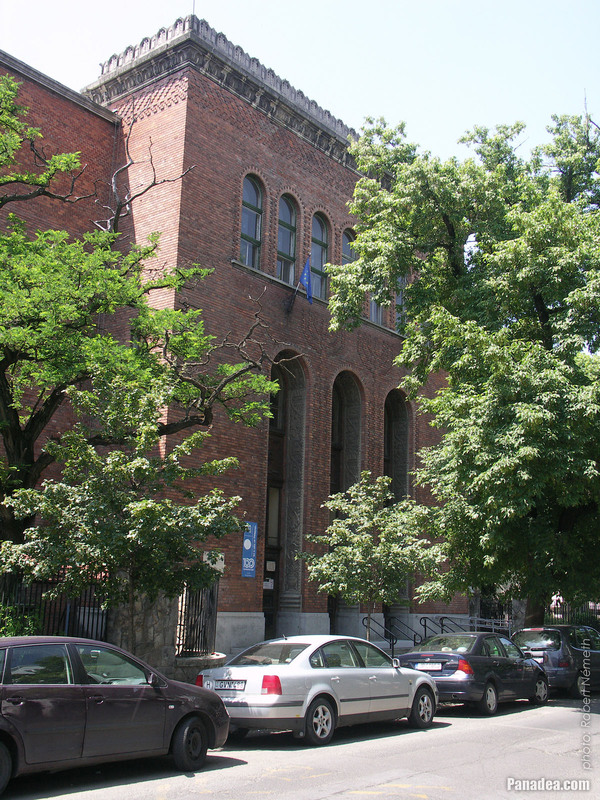 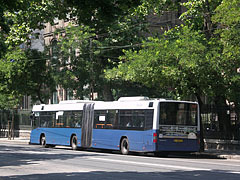 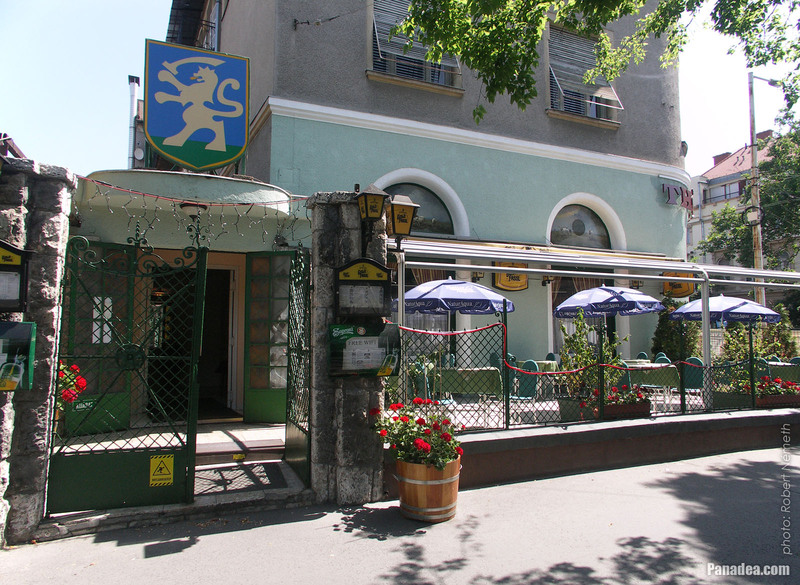 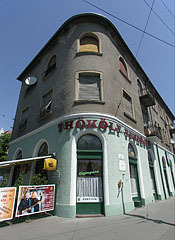 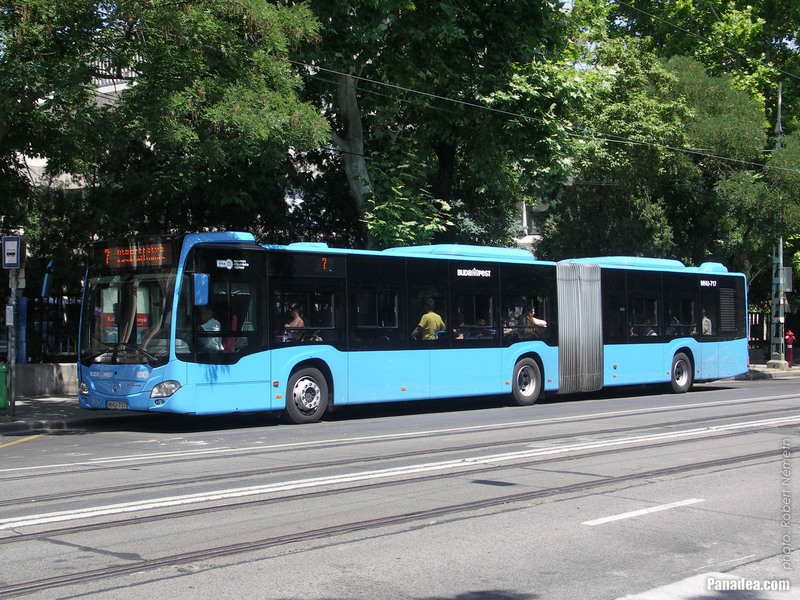 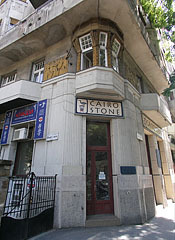 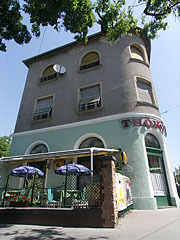 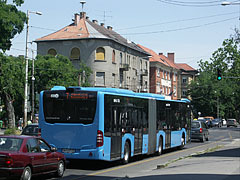 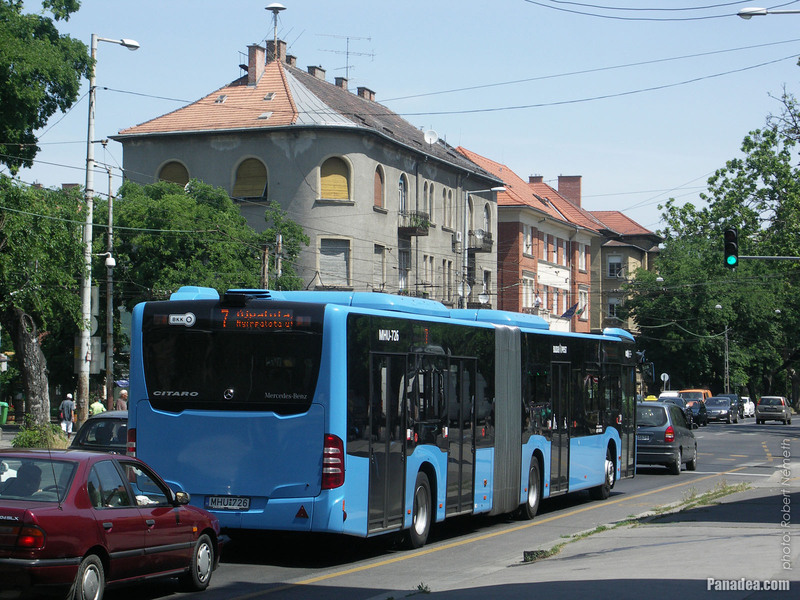 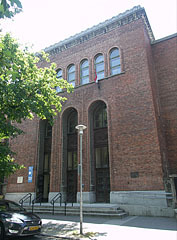 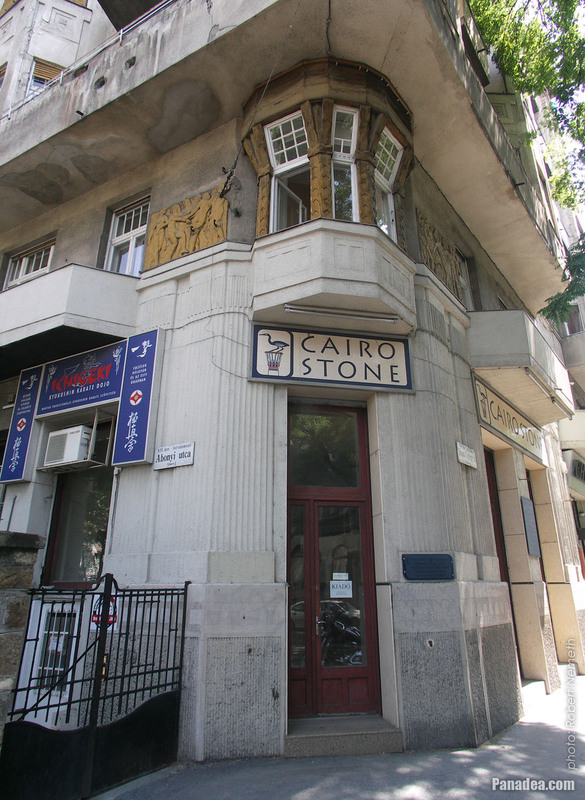 Built in 1911, designed by Gyula Karvaly. 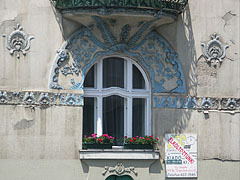 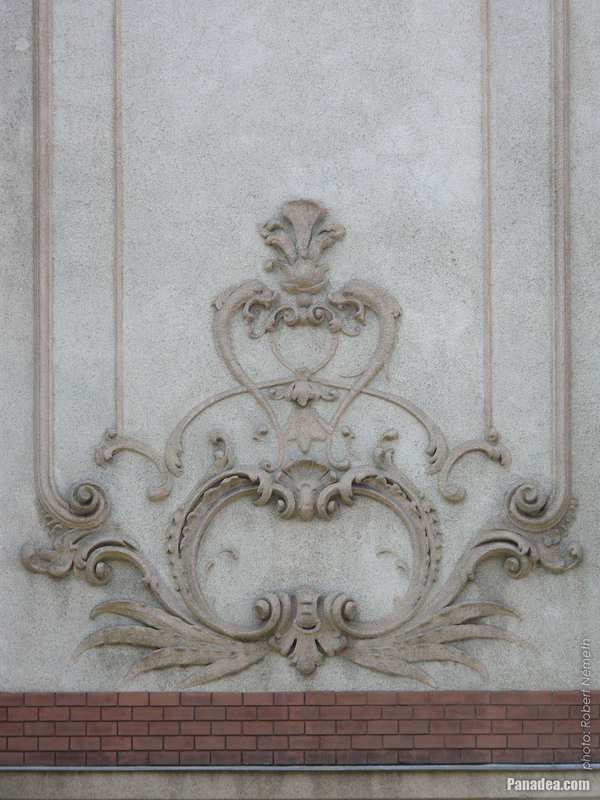 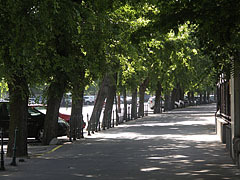 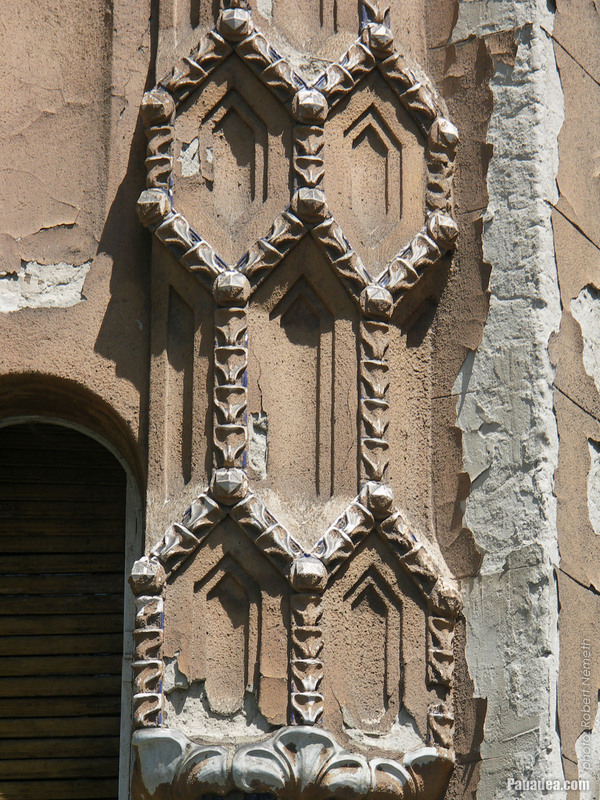 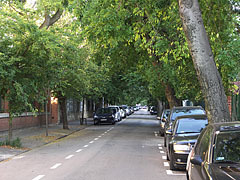 The wall decorations were created by Géza Maróti. 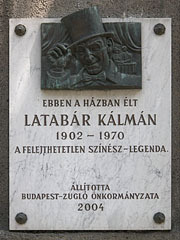 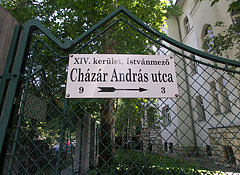 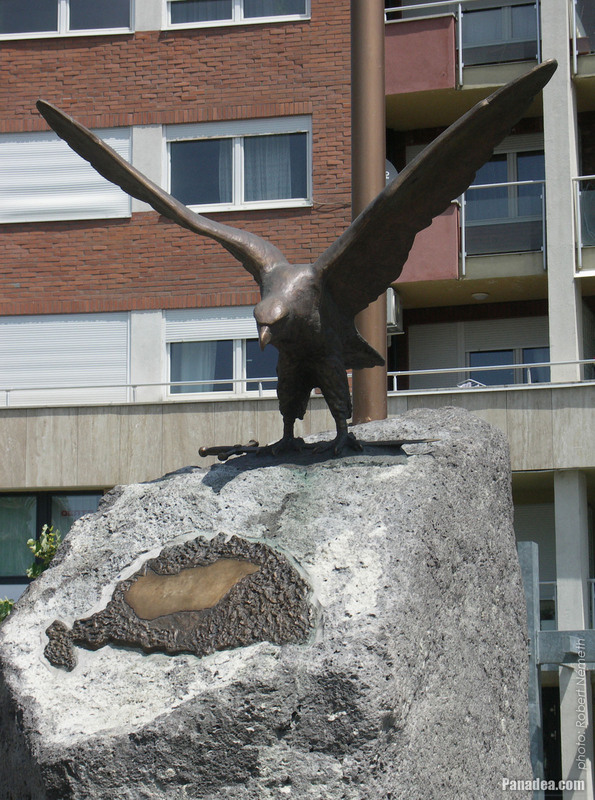 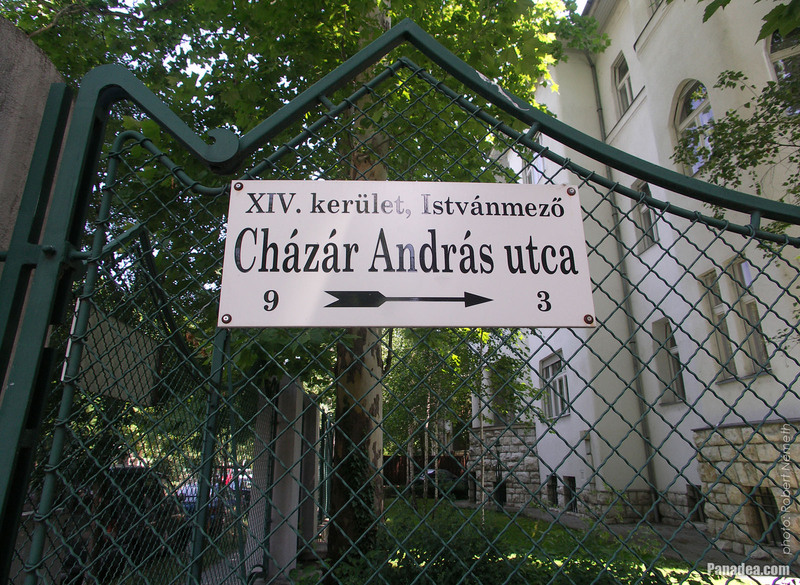 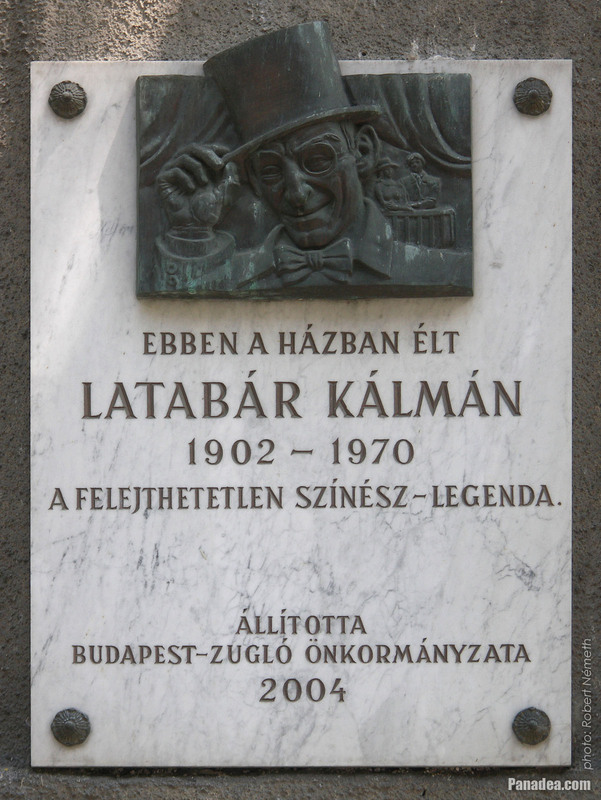 The plaque was created by László Kiss in 2004.